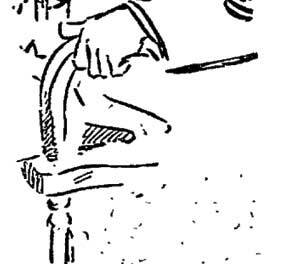 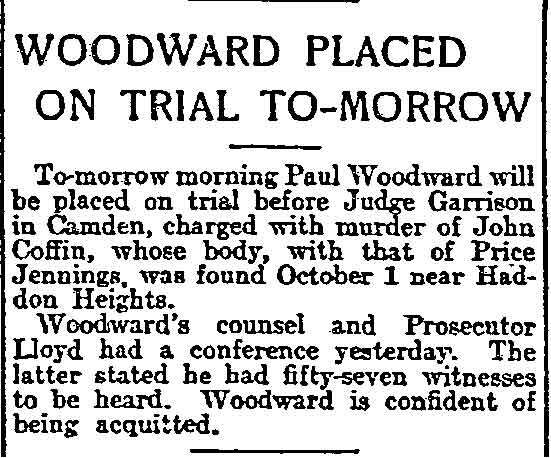 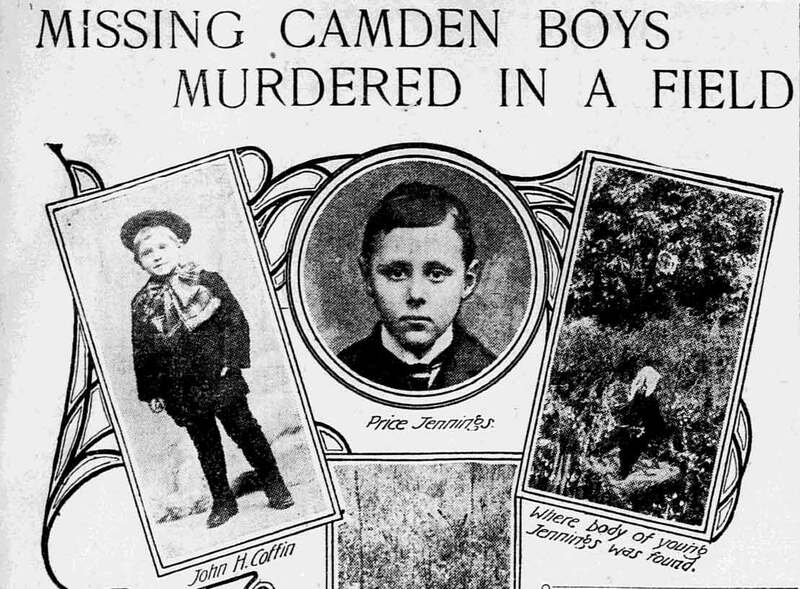 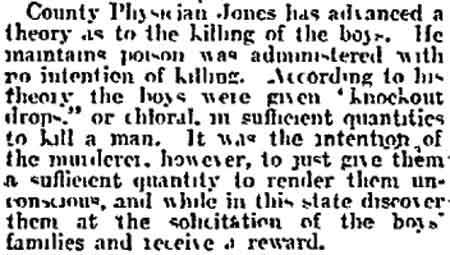 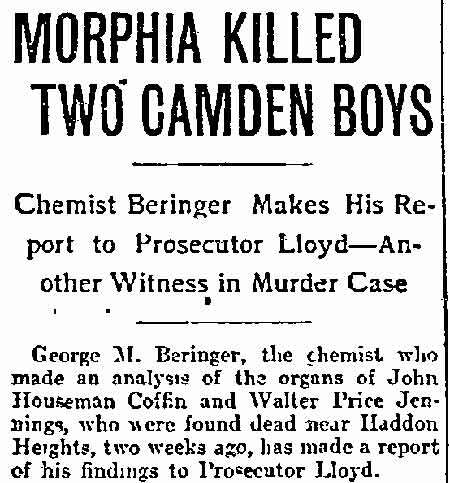 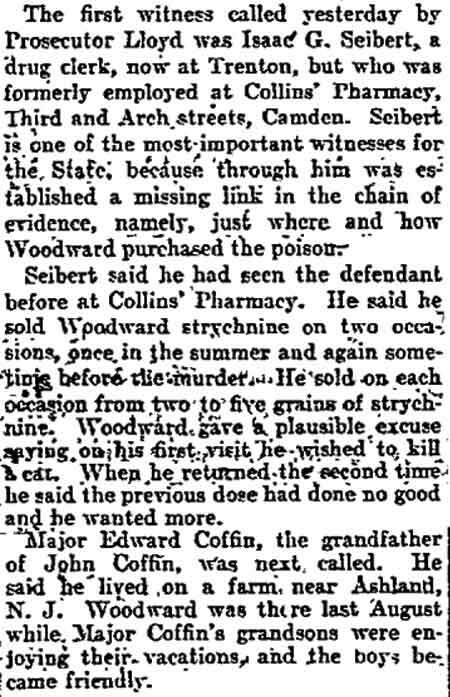 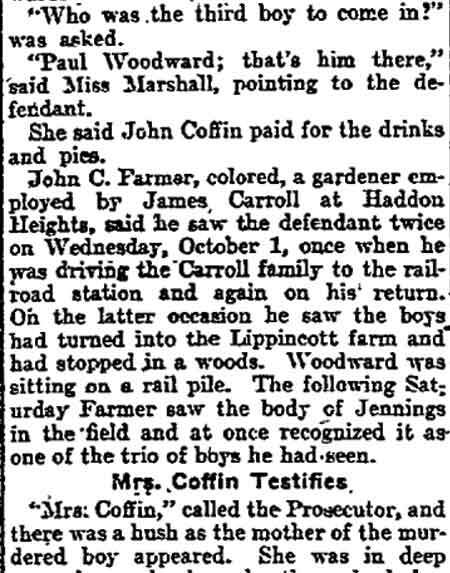 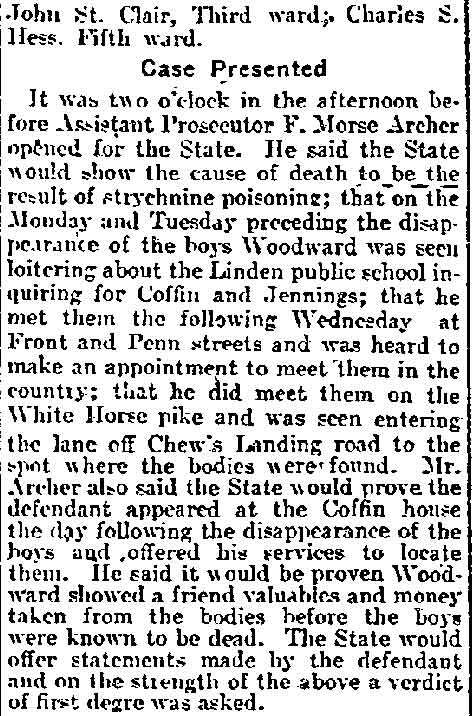 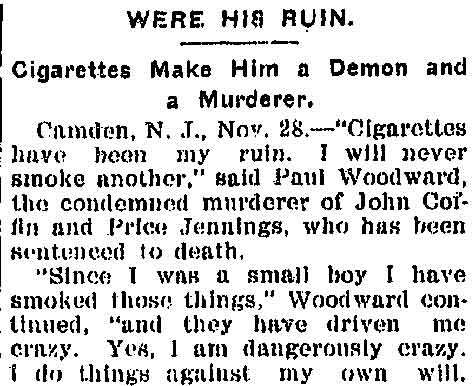 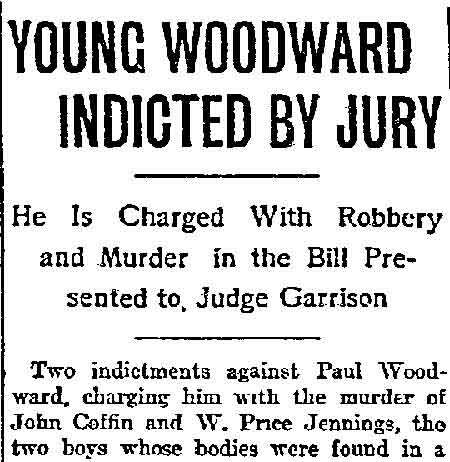 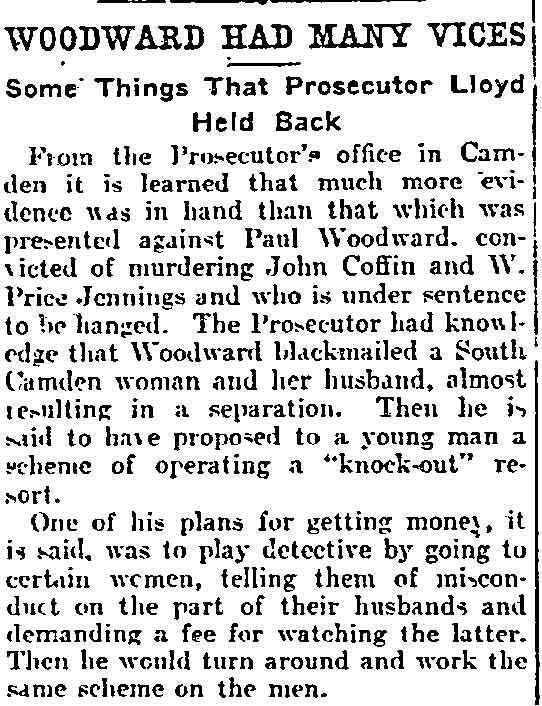 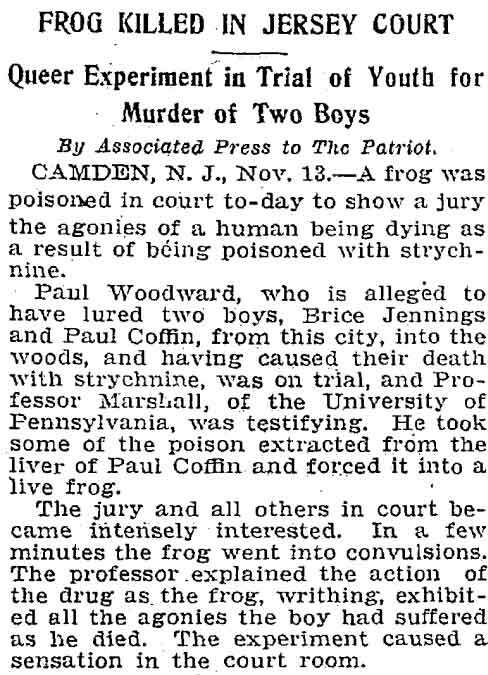 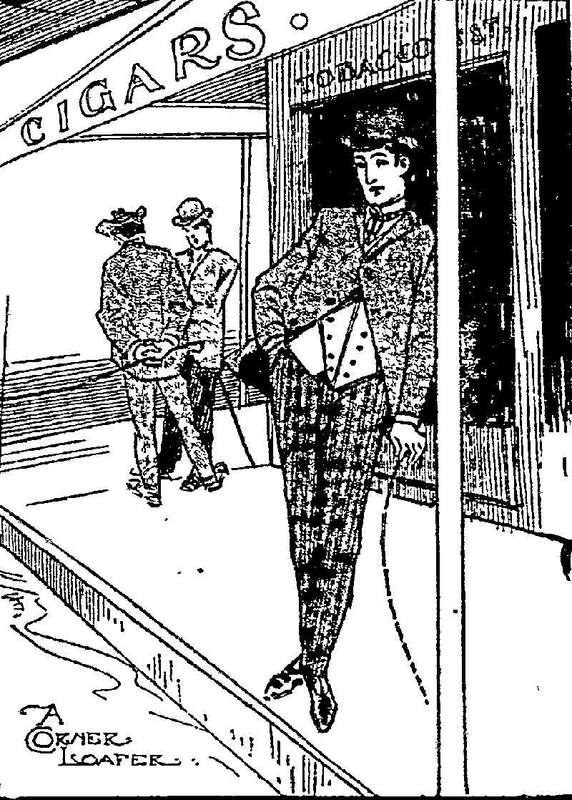 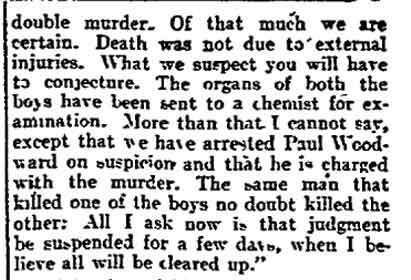 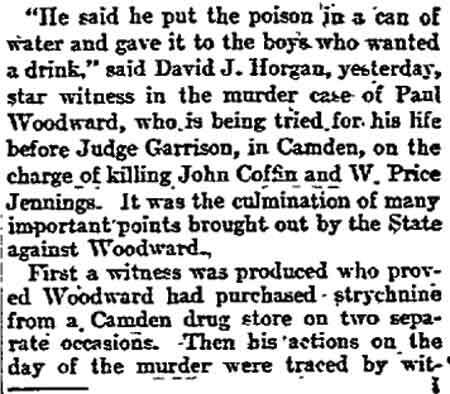 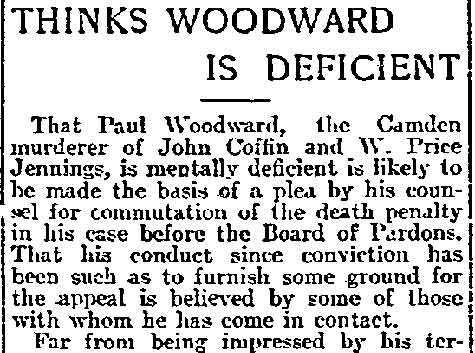 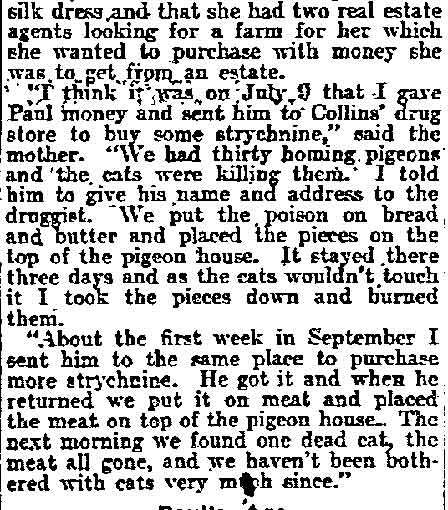 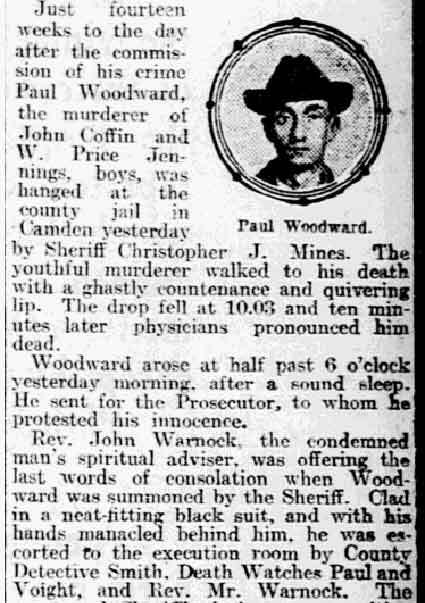 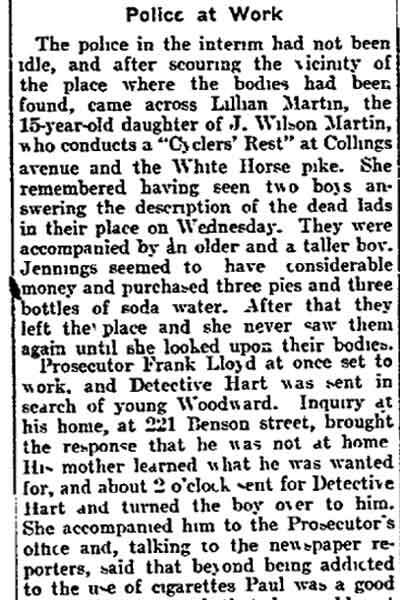 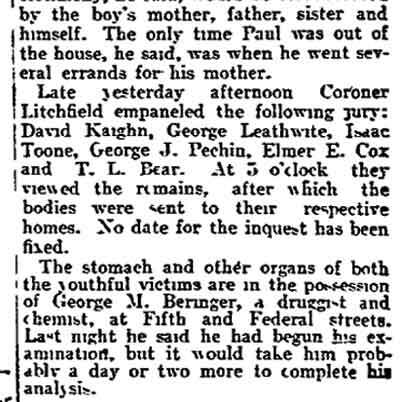 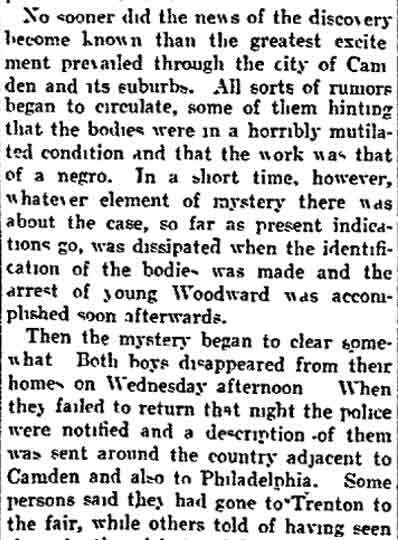 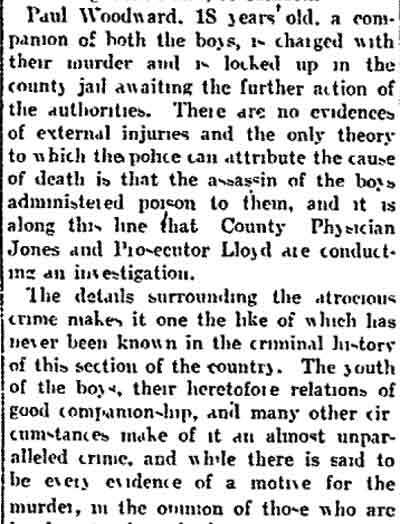 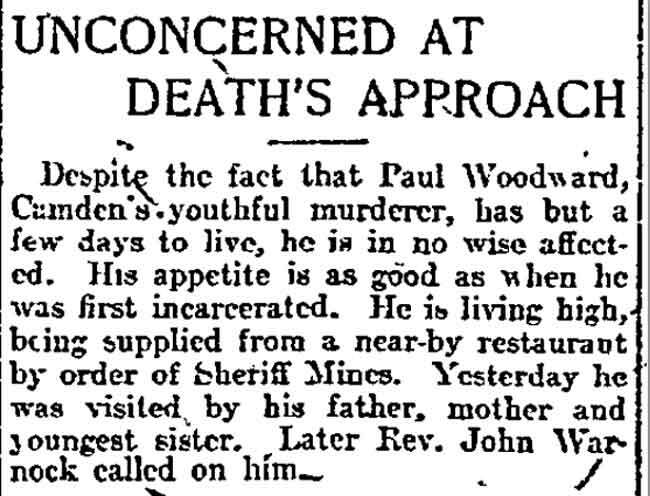 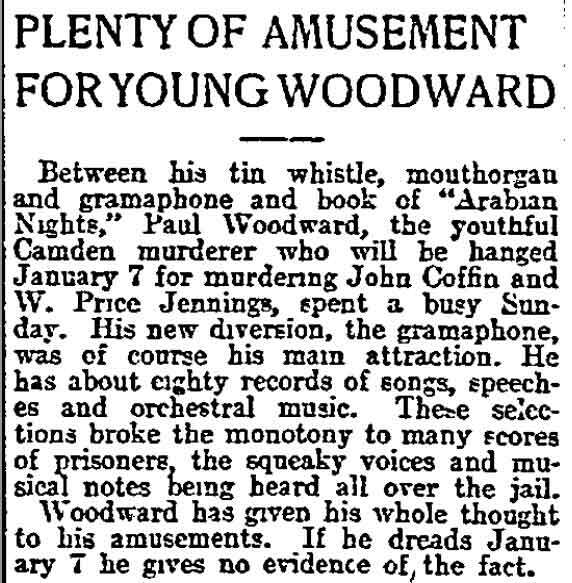 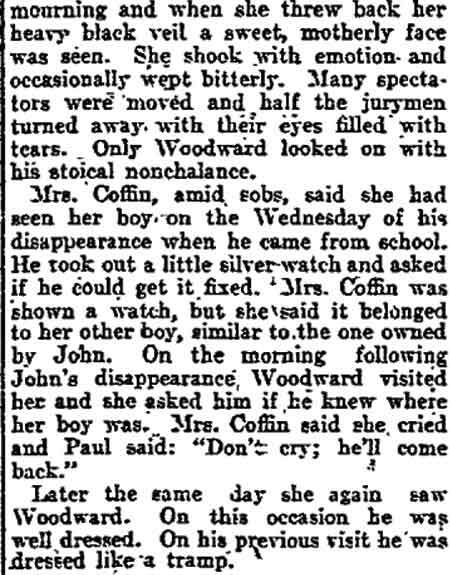 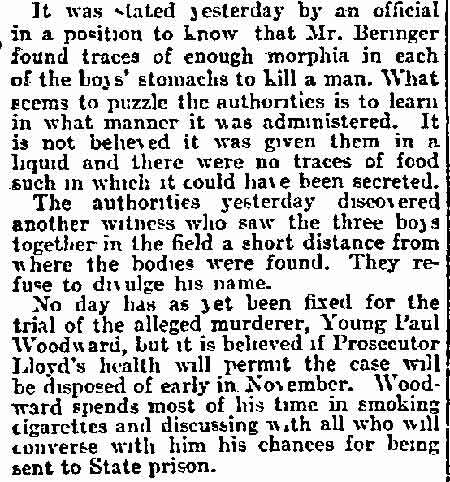 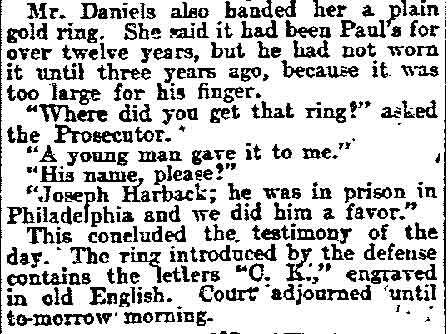 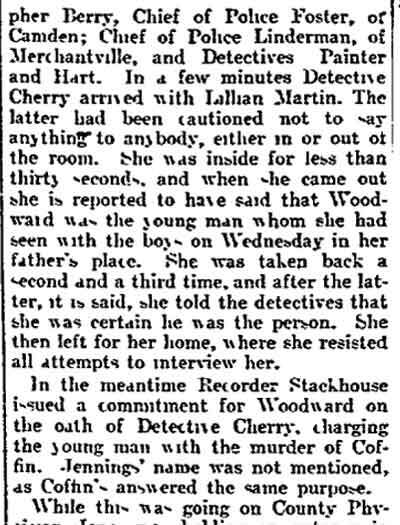 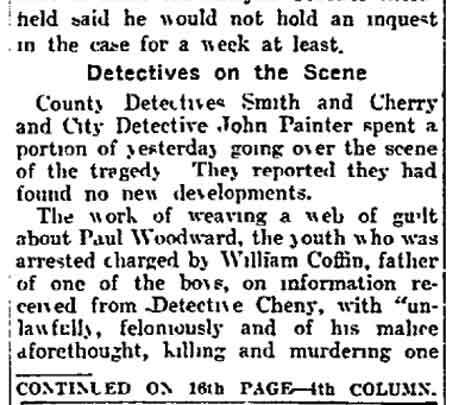 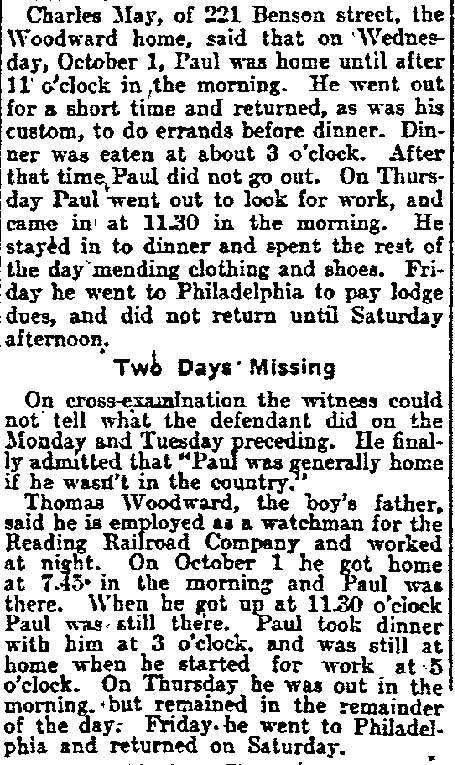 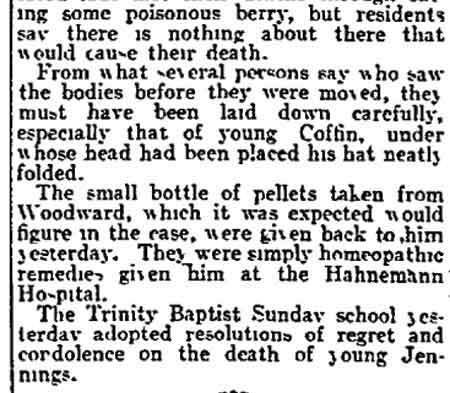 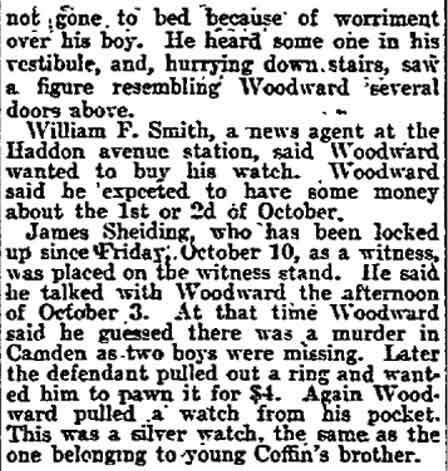 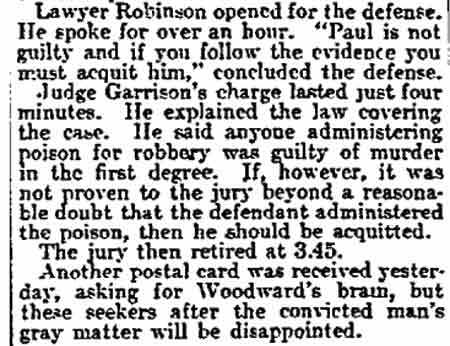 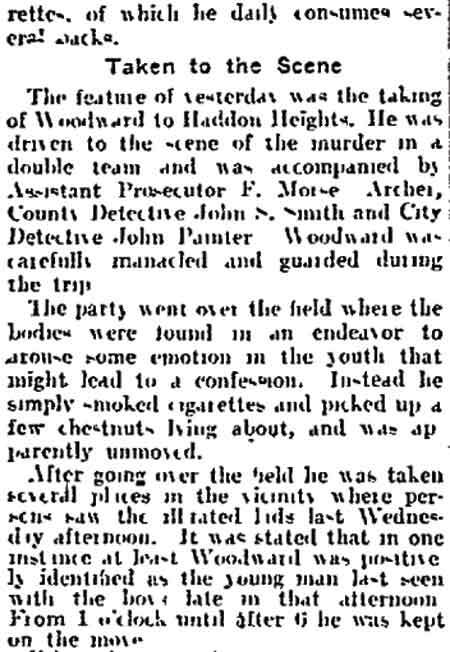 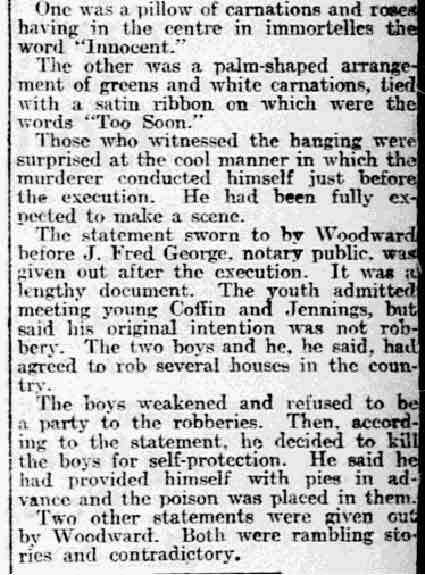 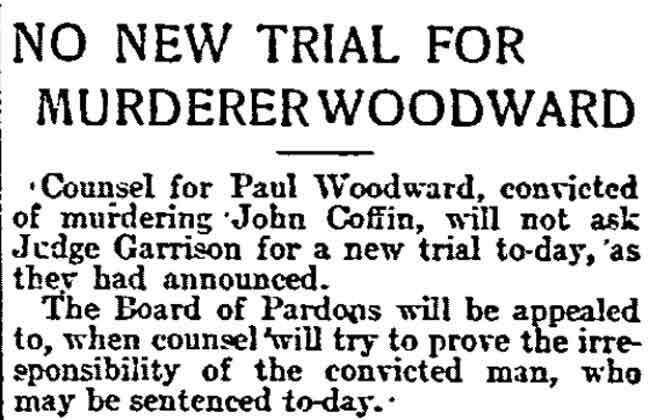 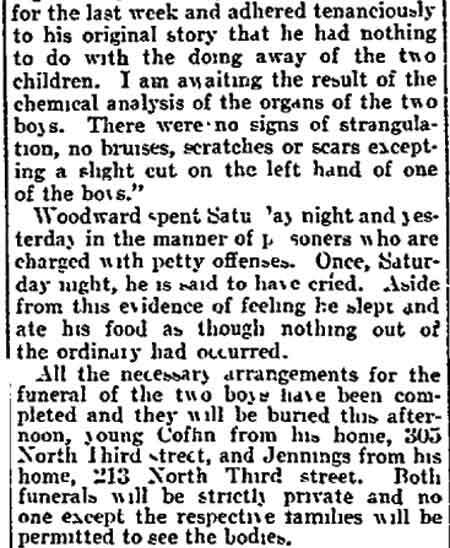 PAUL A. WOODWARD, of 221 Benson Street, murdered two young boys by giving the poison on October 1, 1902. 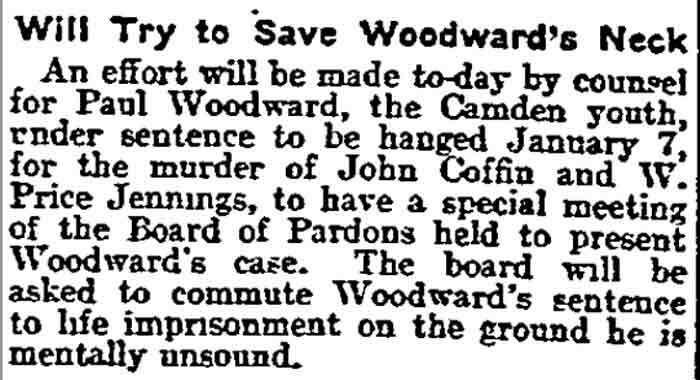 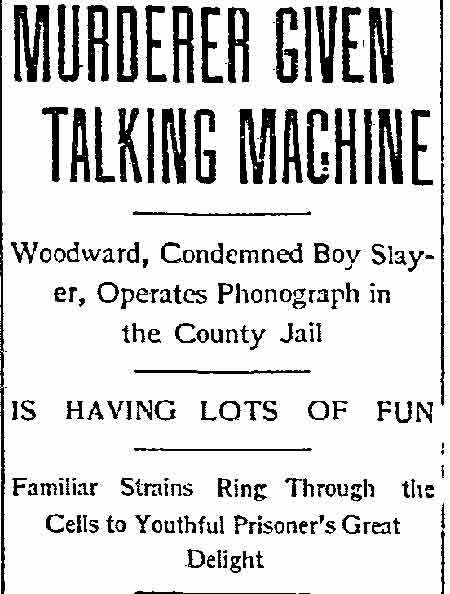 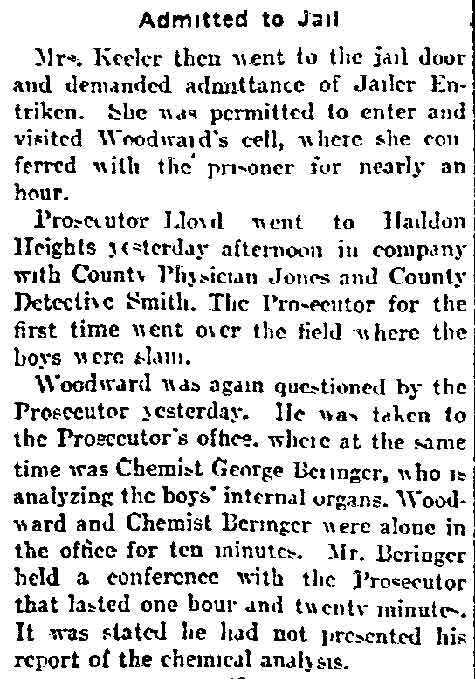 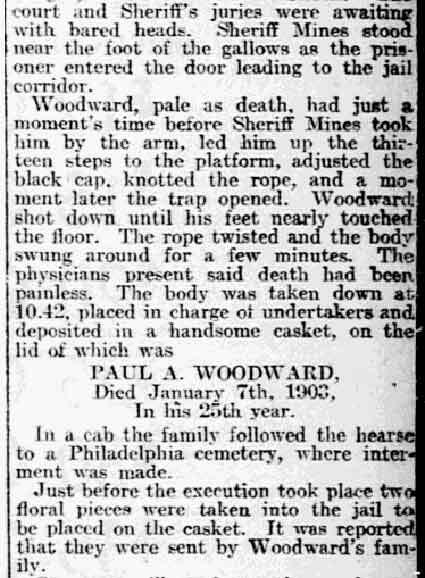 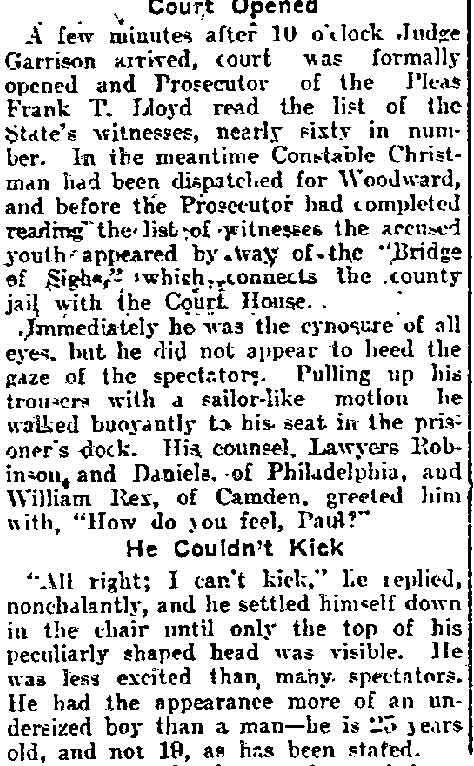 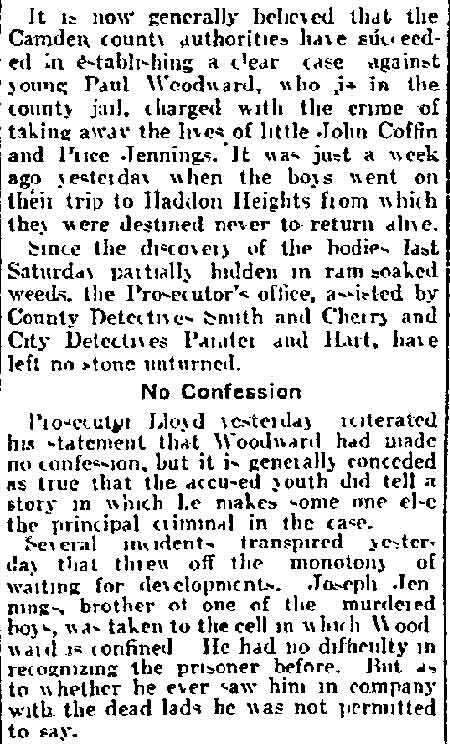 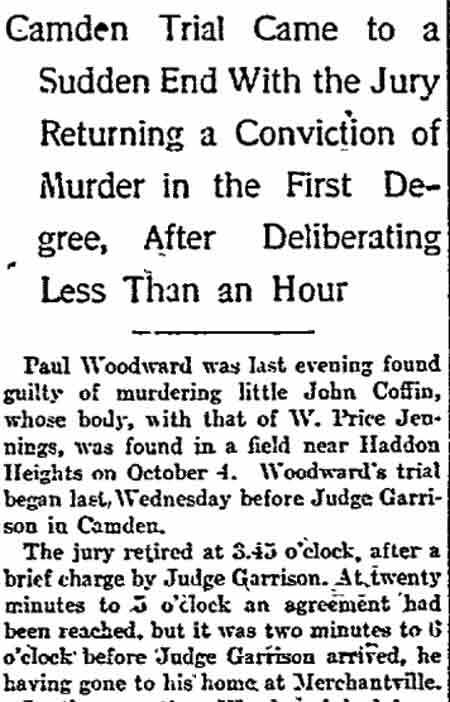 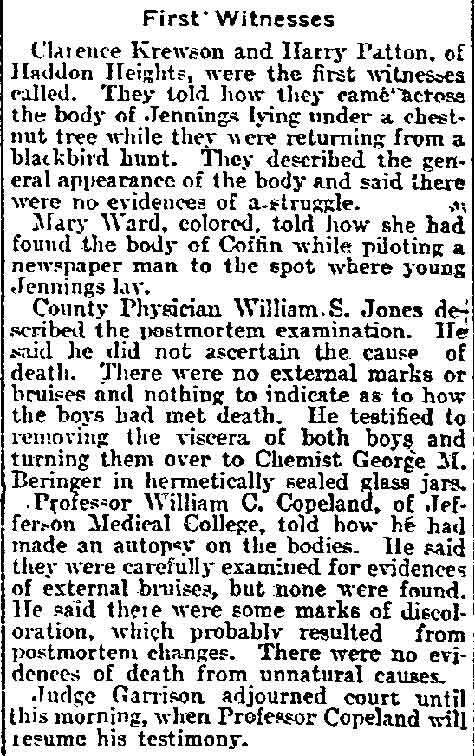 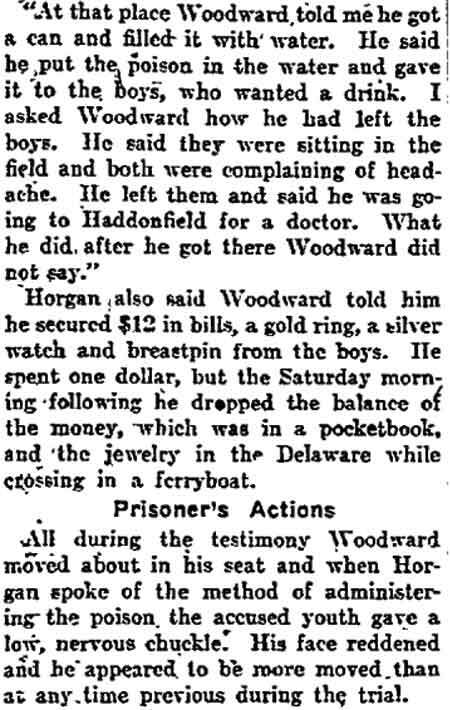 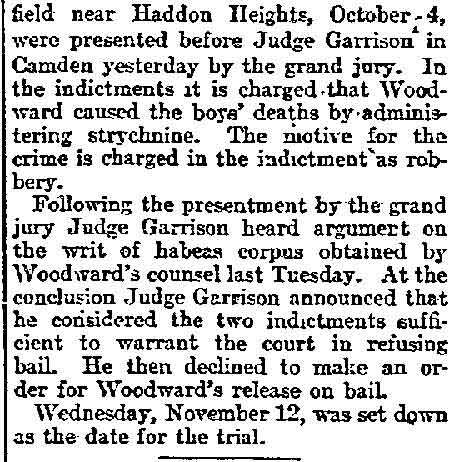 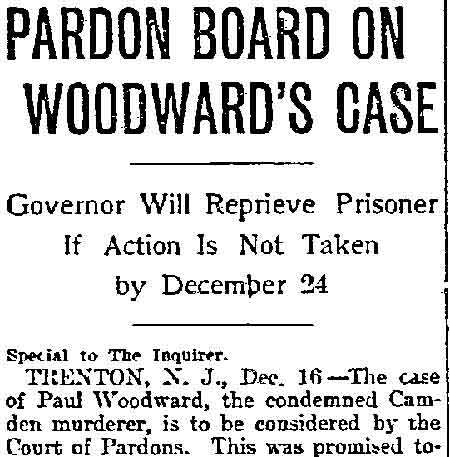 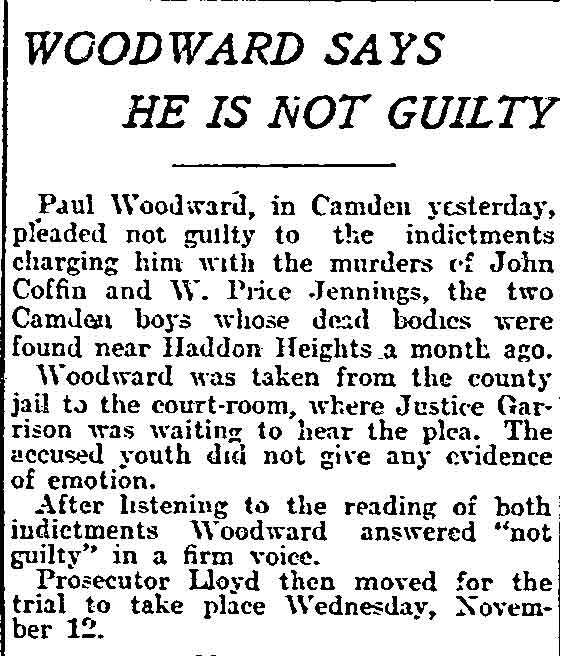 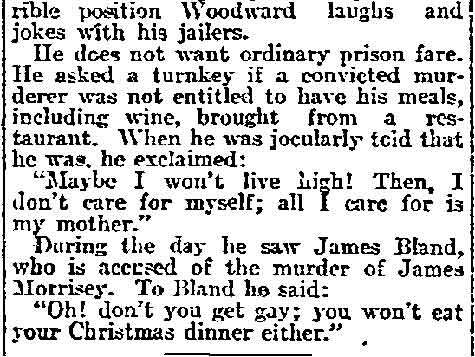 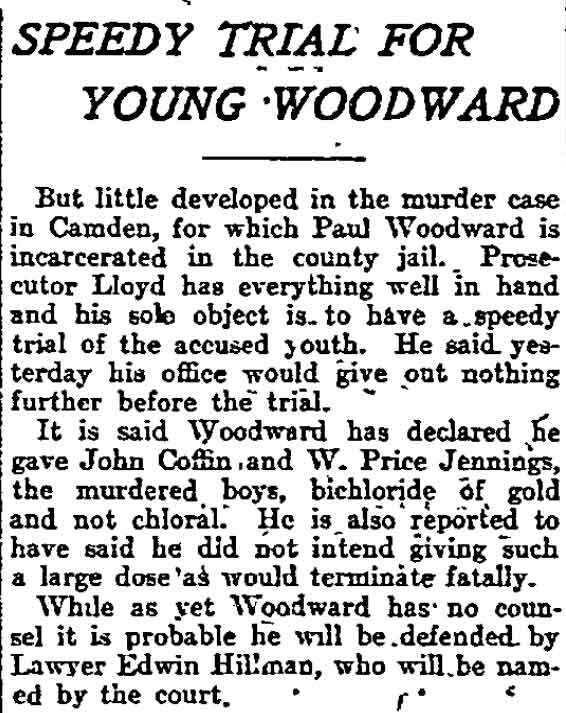 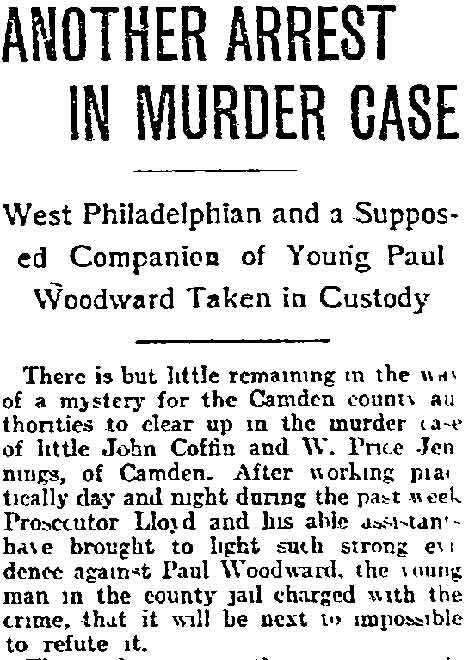 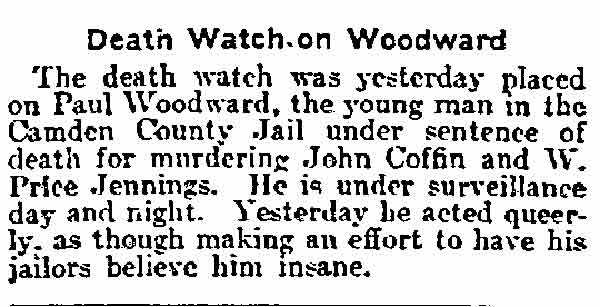 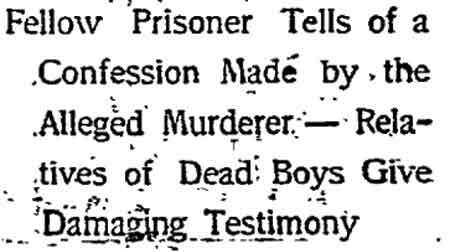 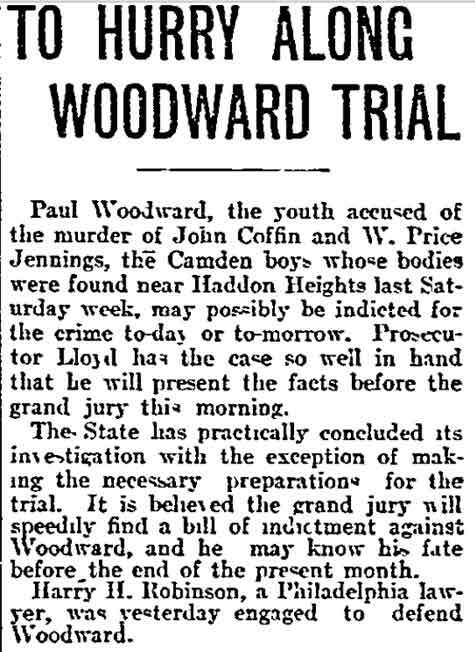 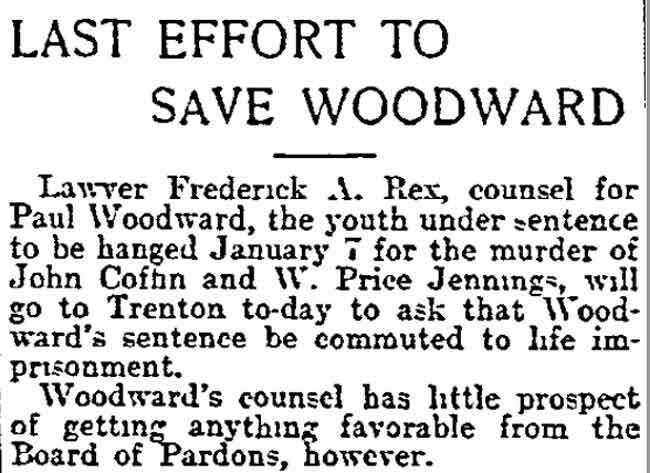 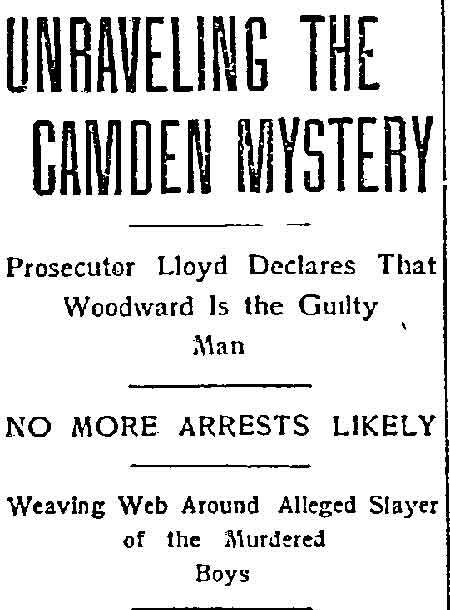 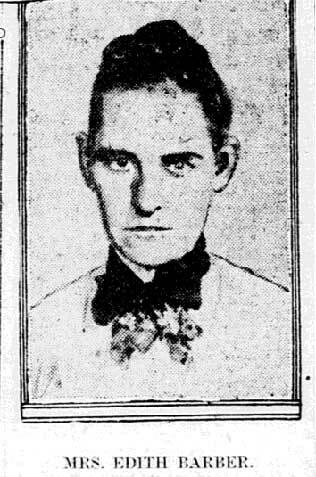 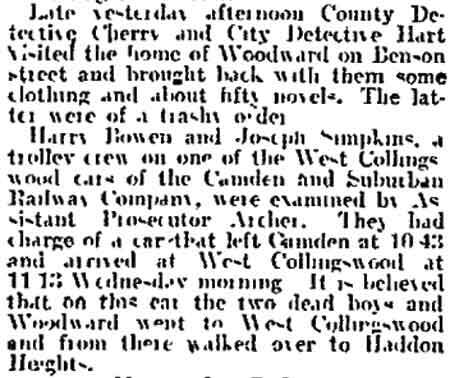 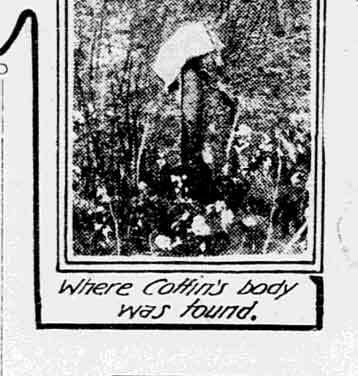 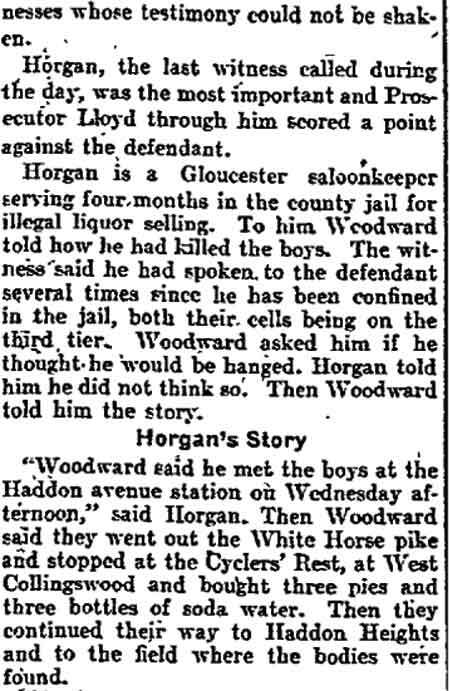 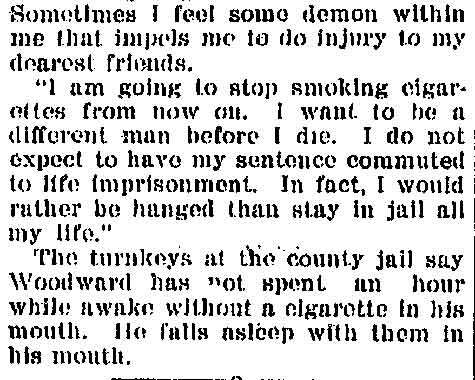 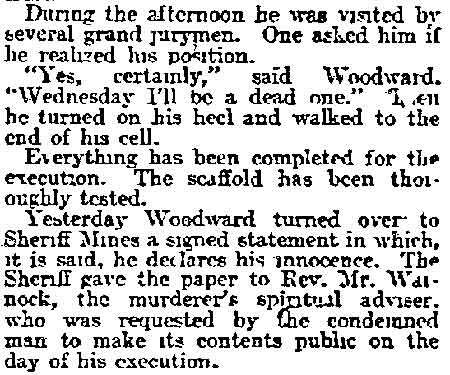 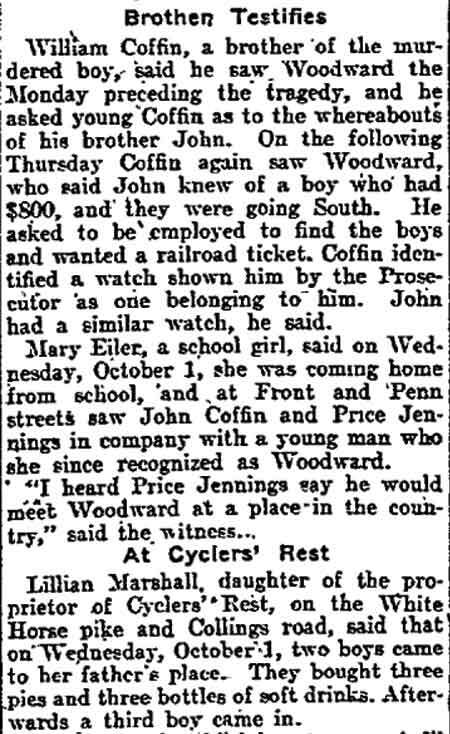 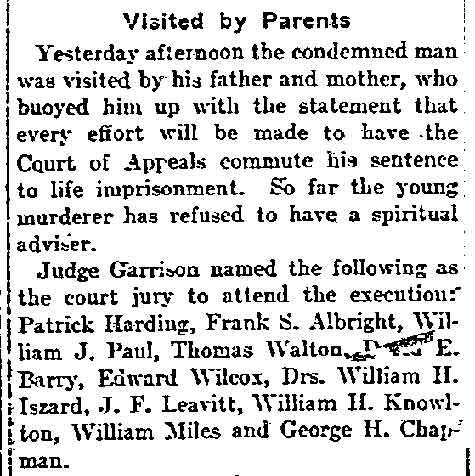 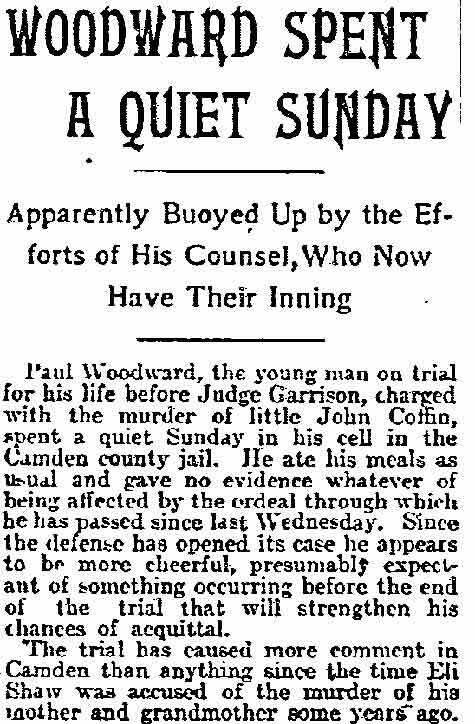 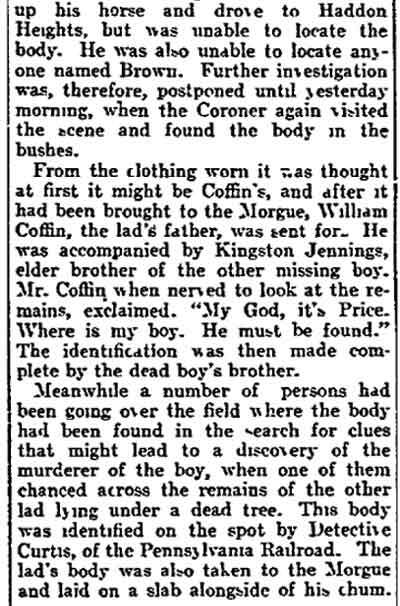 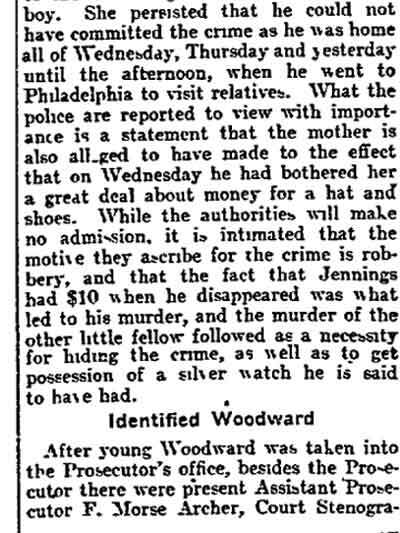 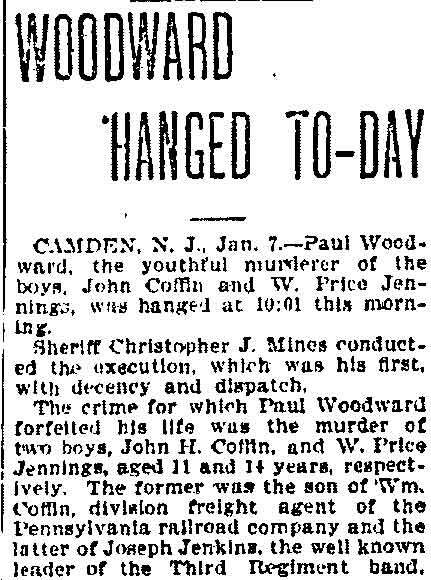 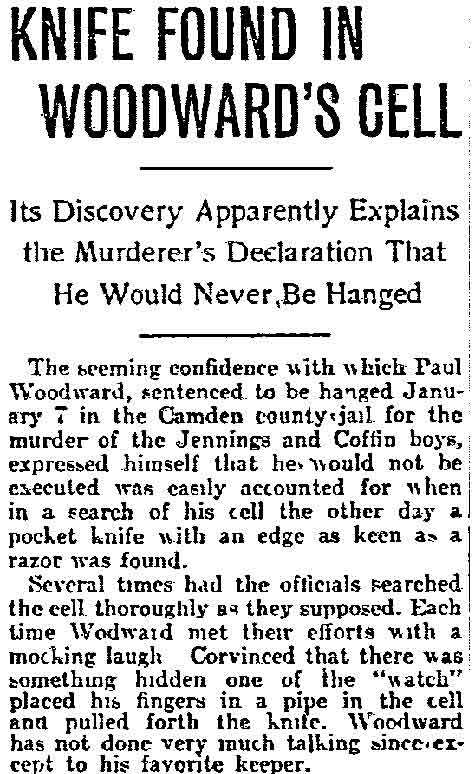 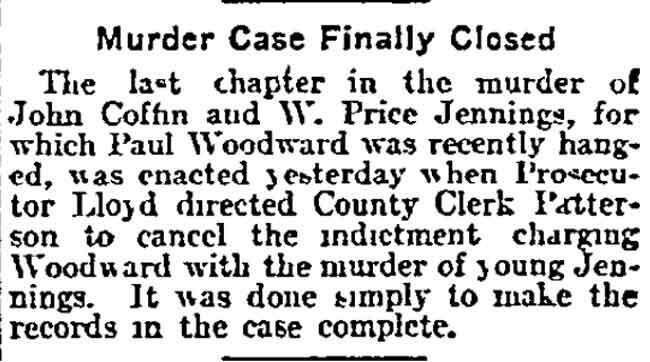 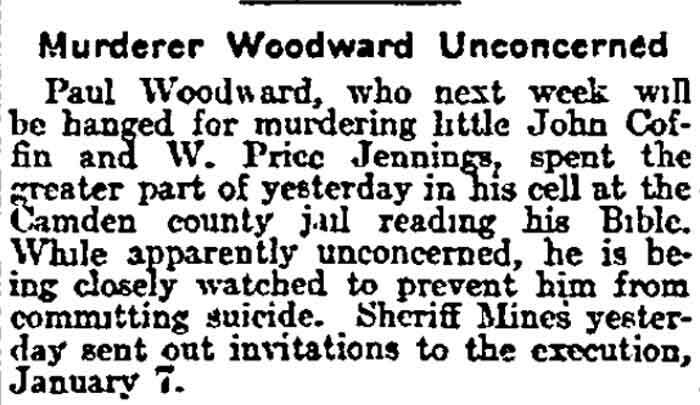 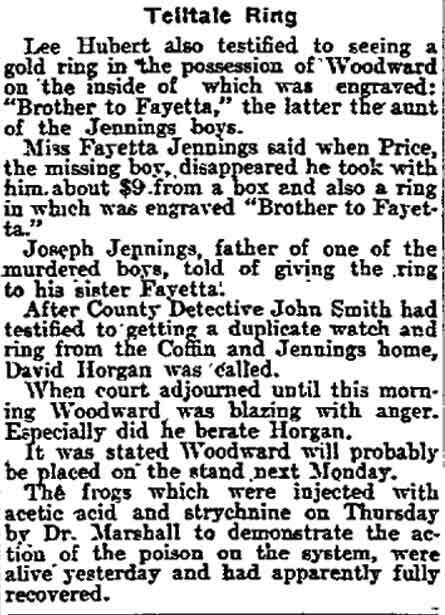 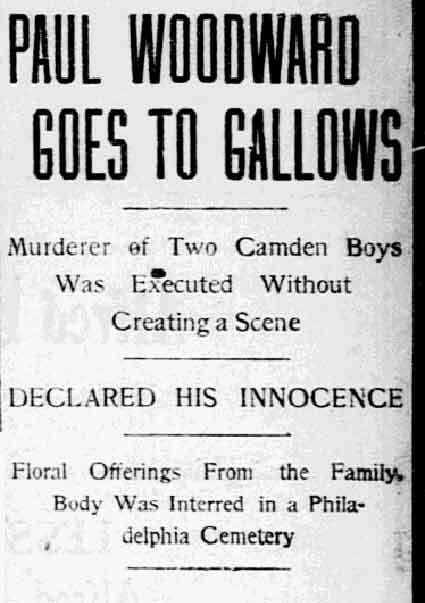 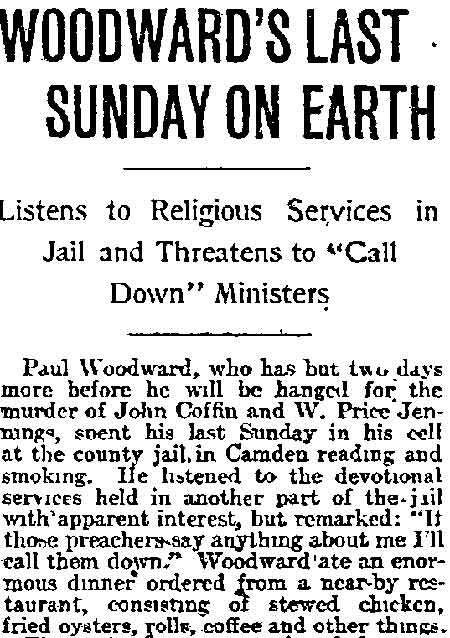 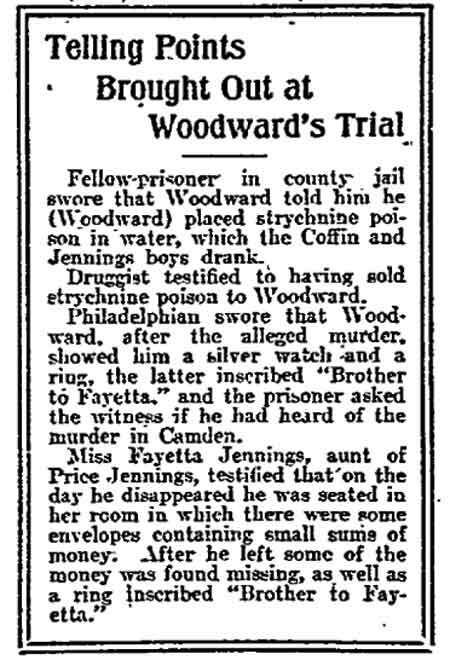 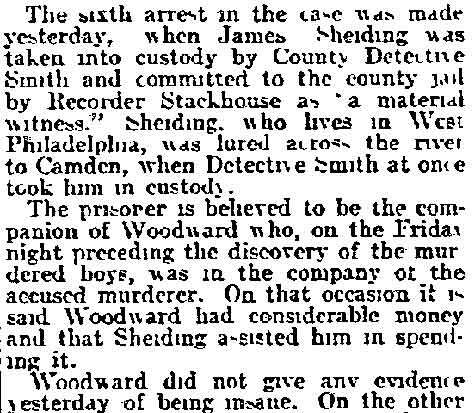 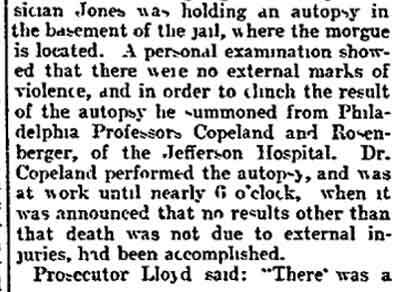 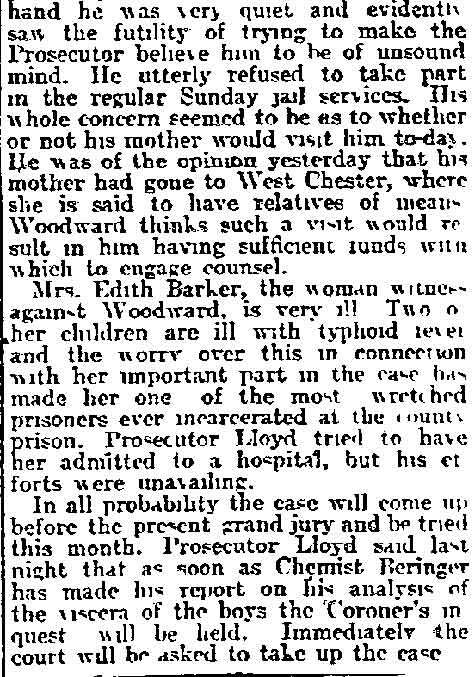 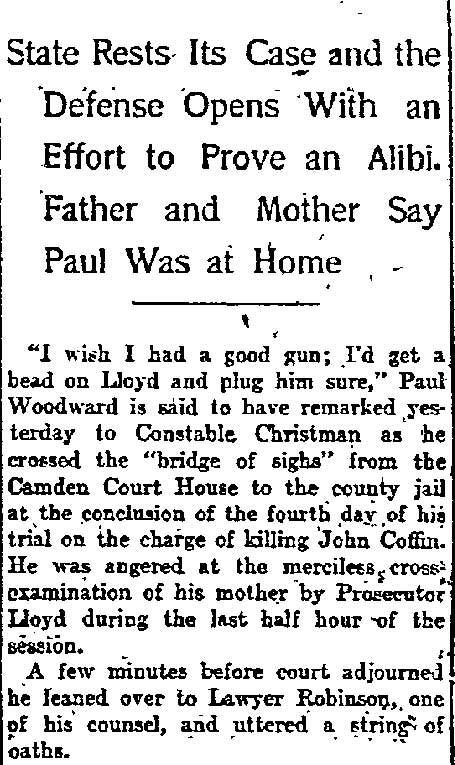 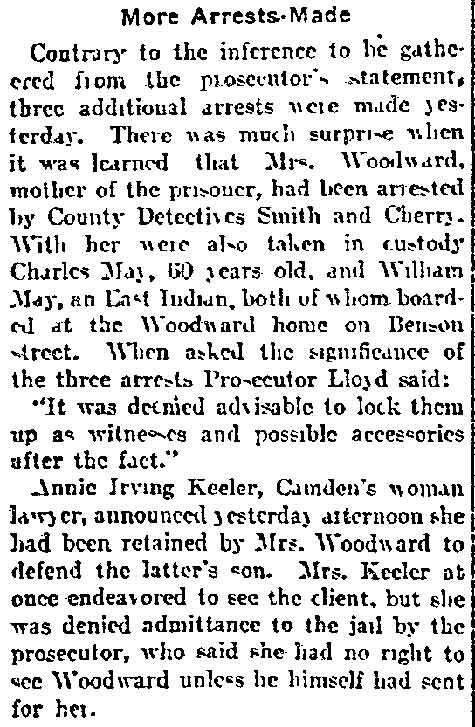 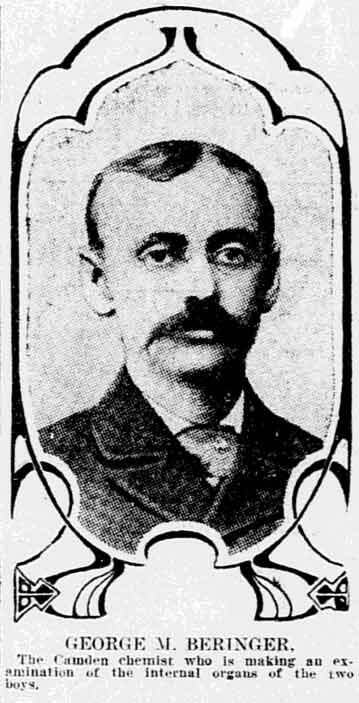 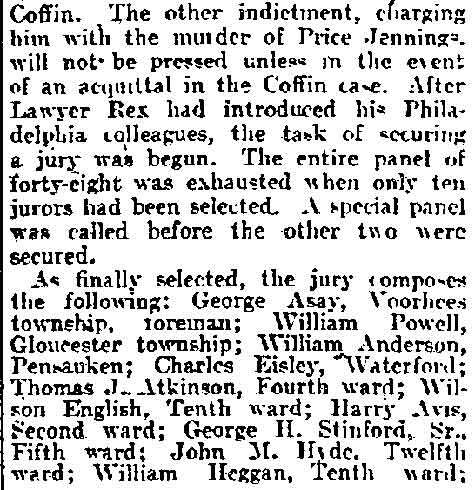 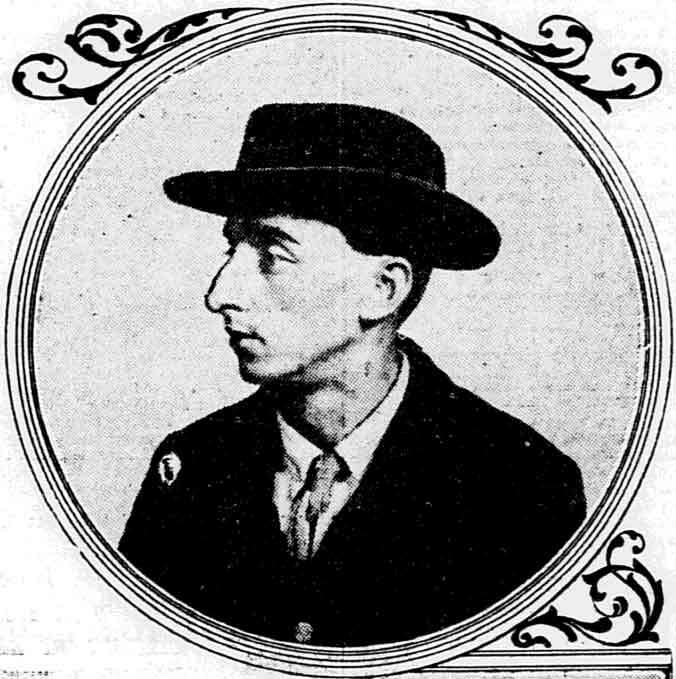 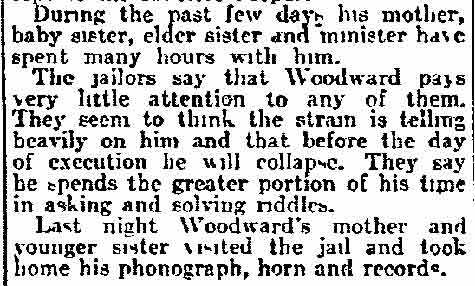 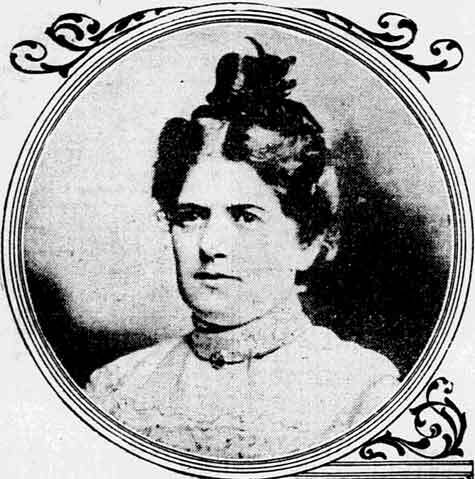 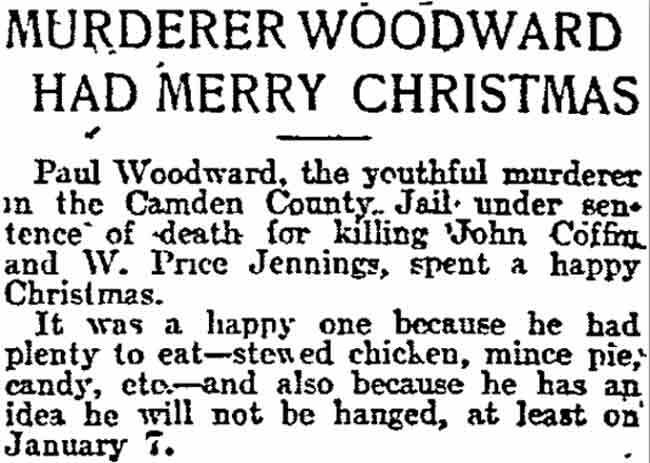 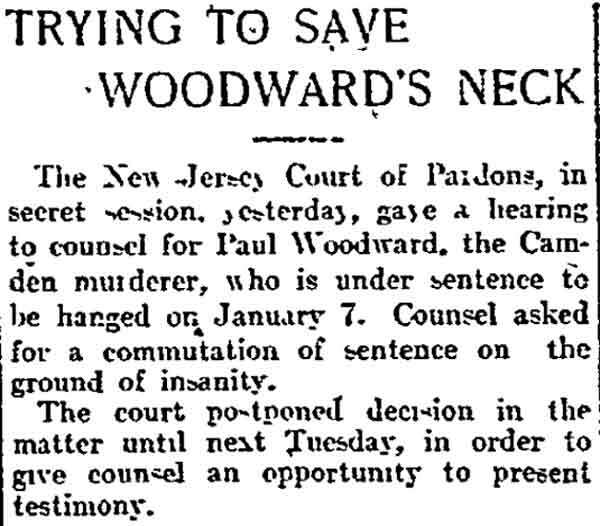 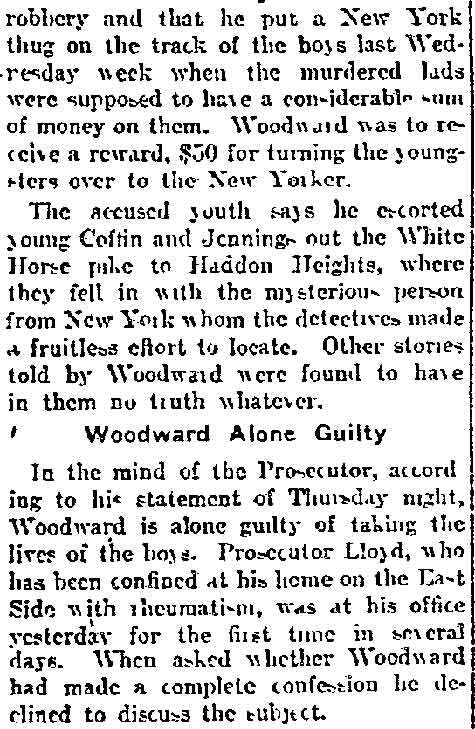 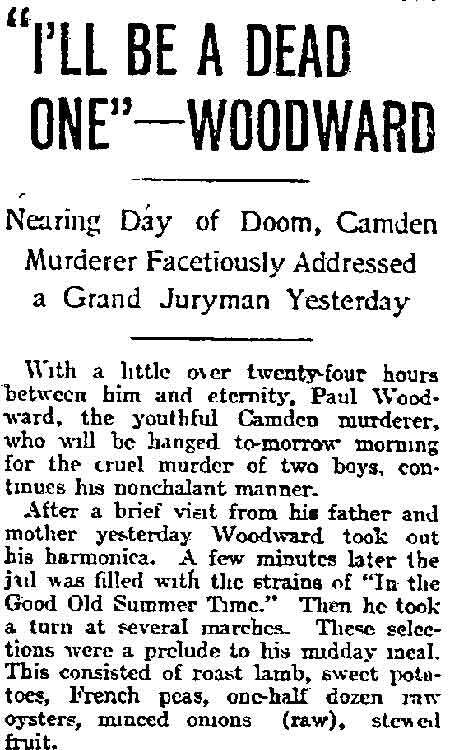 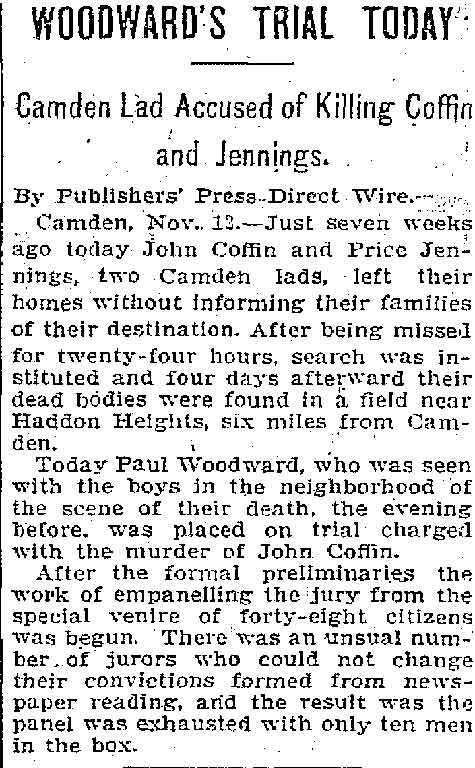 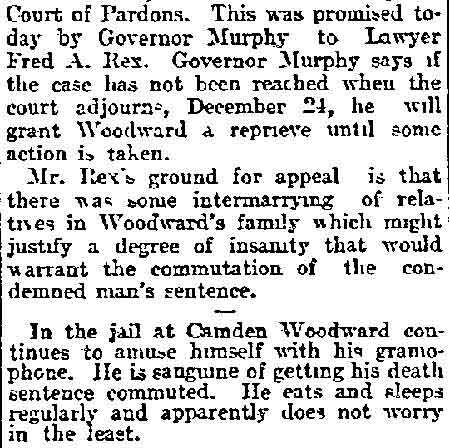 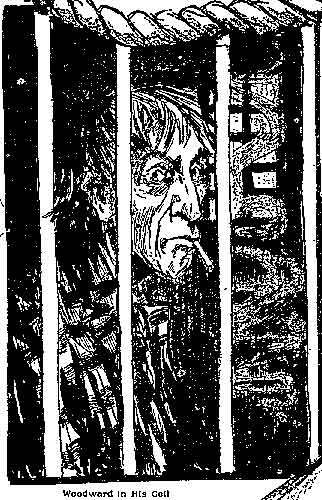 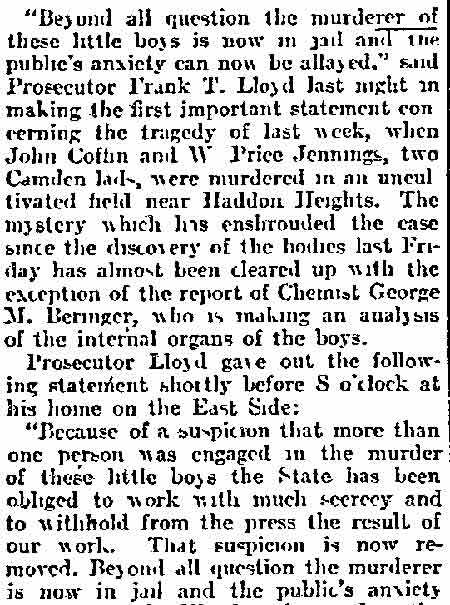 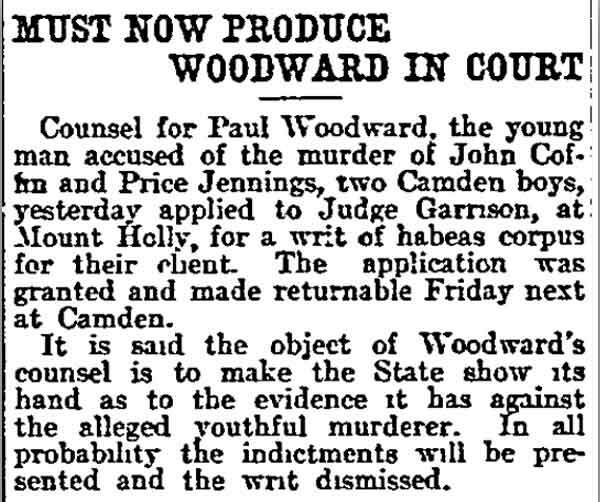 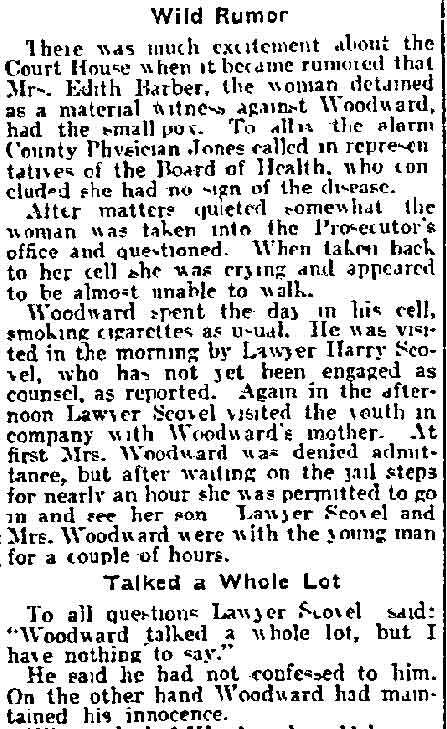 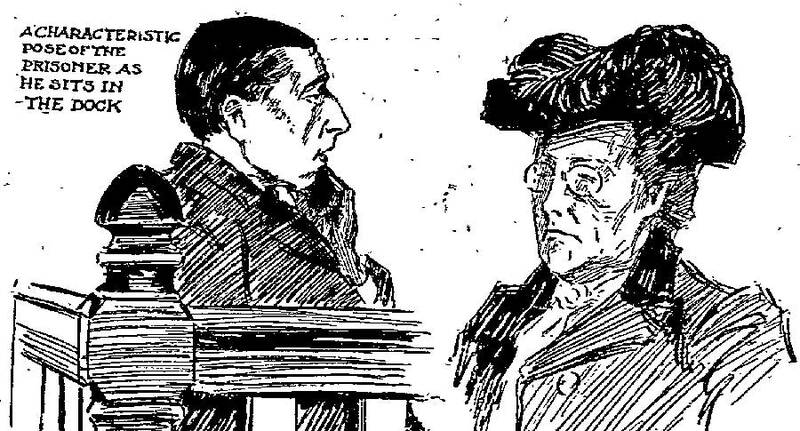 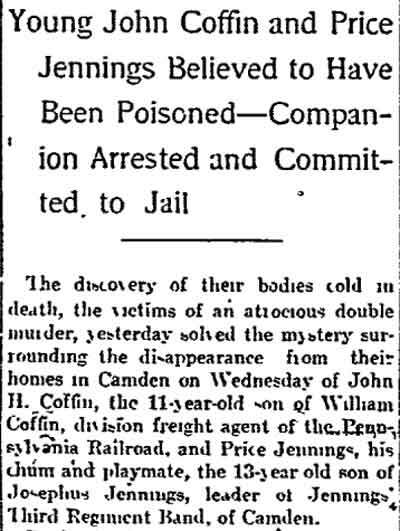 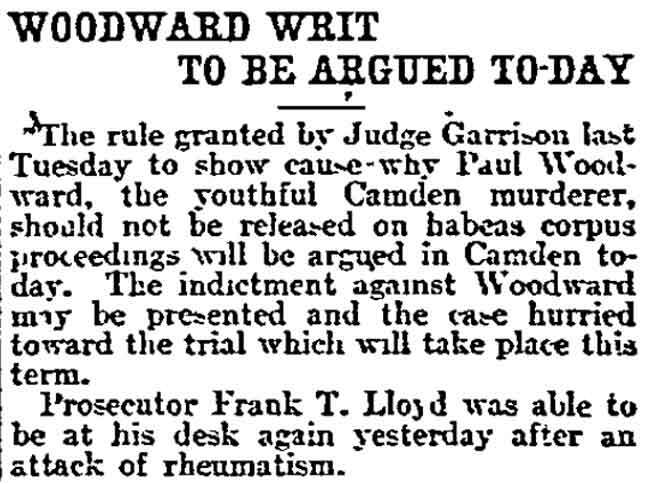 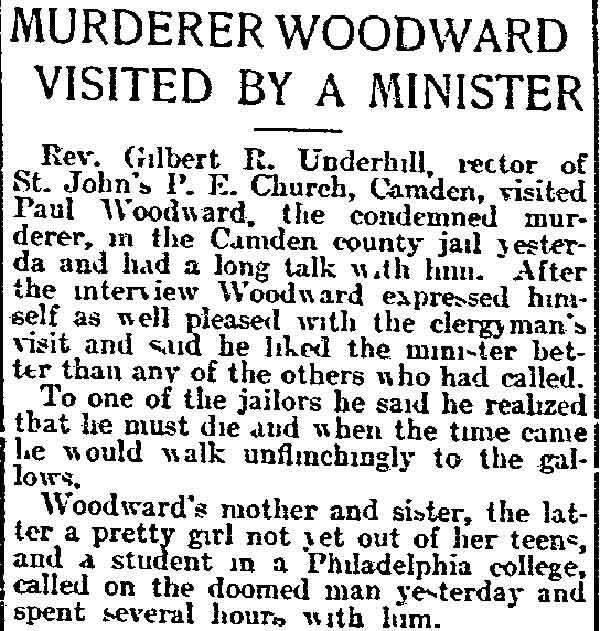 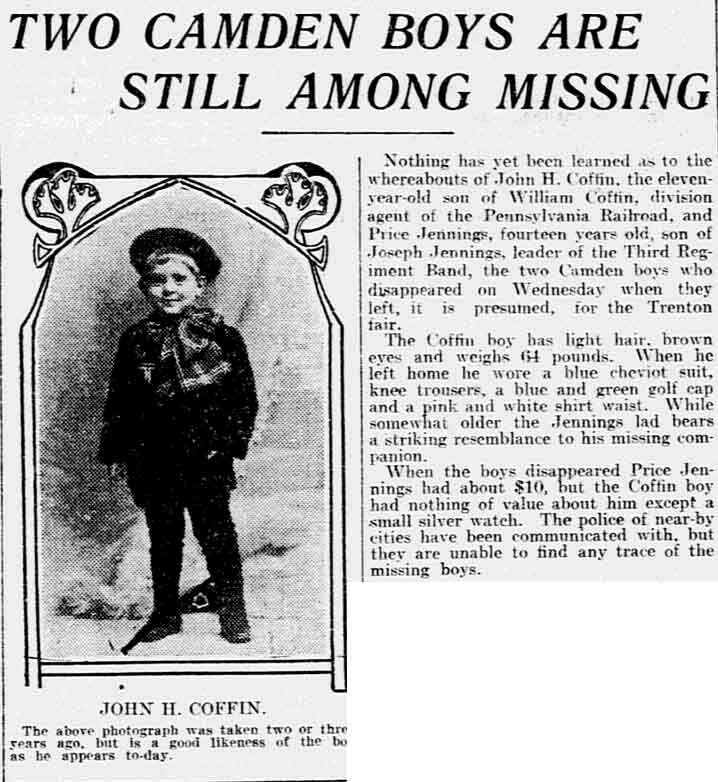 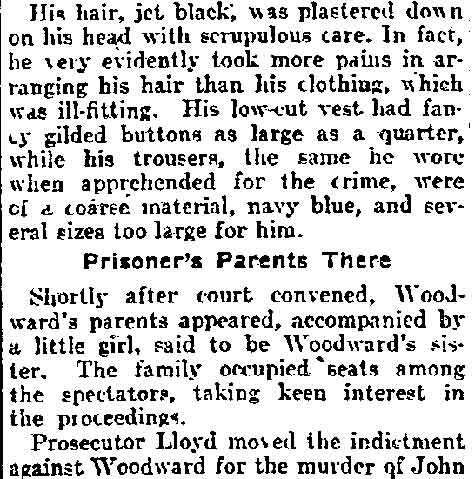 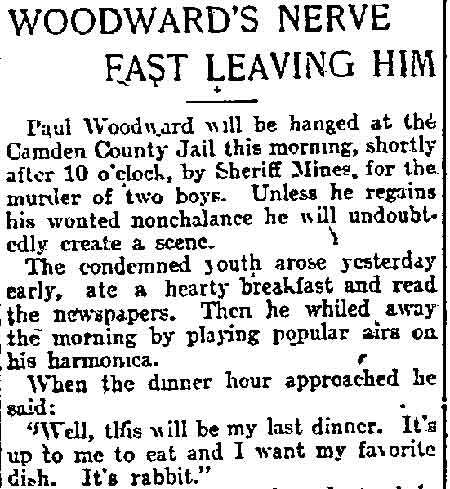 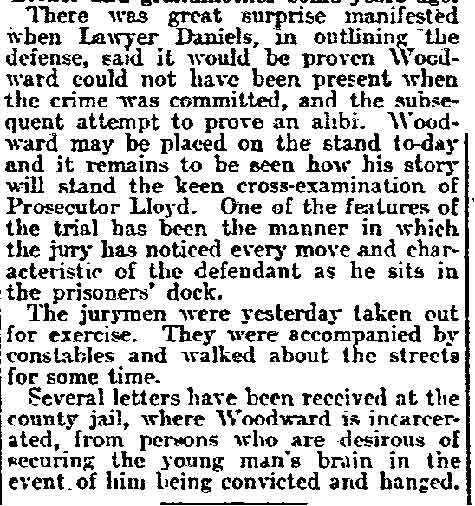 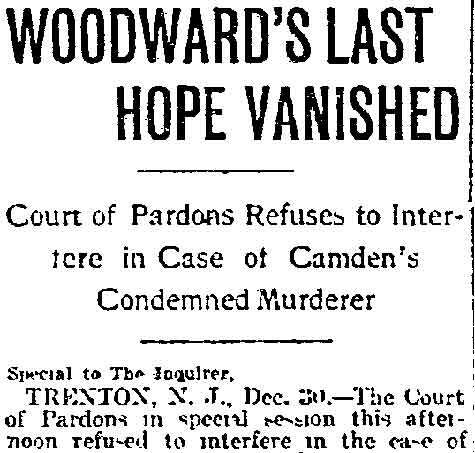 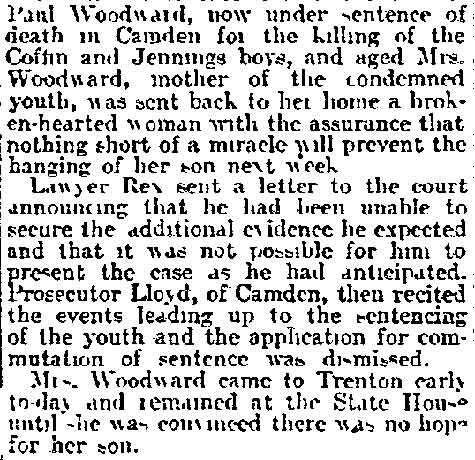 The son of Thomas and Bella Woodward, he was arrested, tried, convicted of the first degree murder of one of his victims, and was executed for his crime at the Camden County Jail on January 7, 1903. 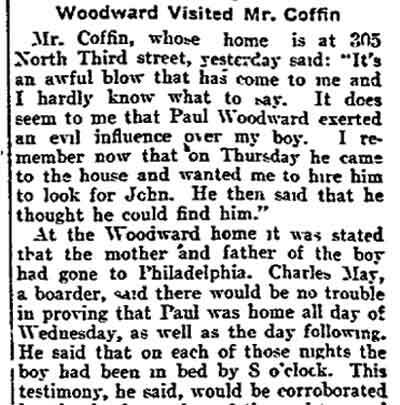 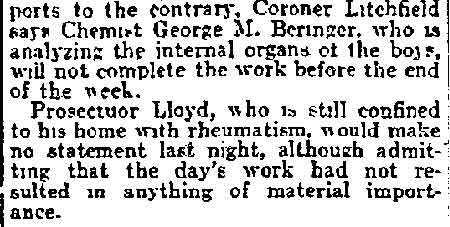 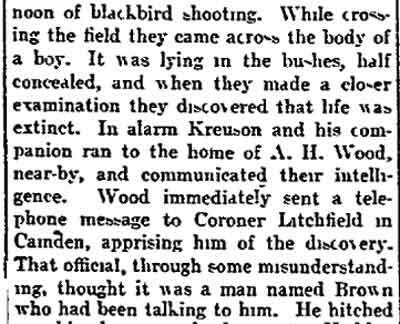 He was buried in Philadelphia. 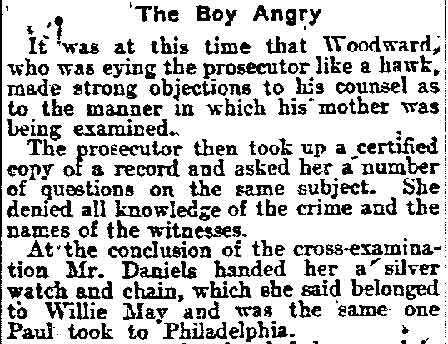 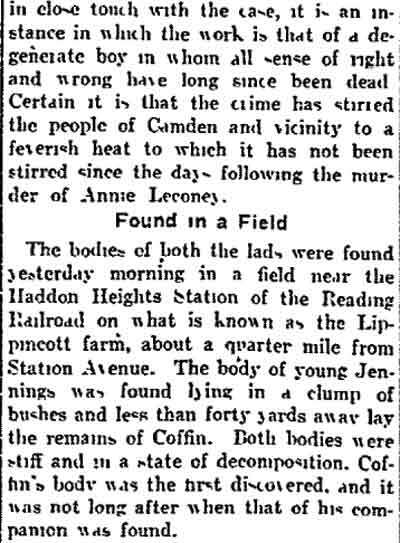 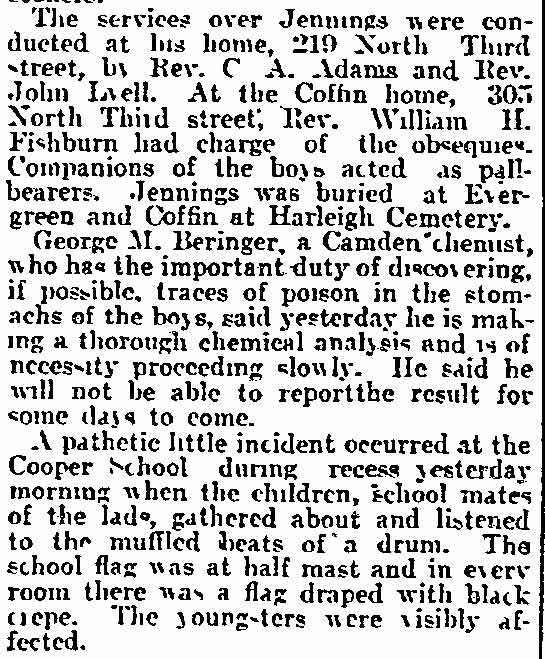 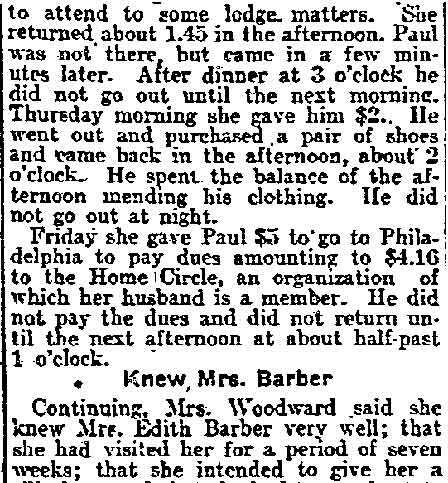 The complete coverage of this incident from the Philadelphia Inquirer and other newspapers is presented below. 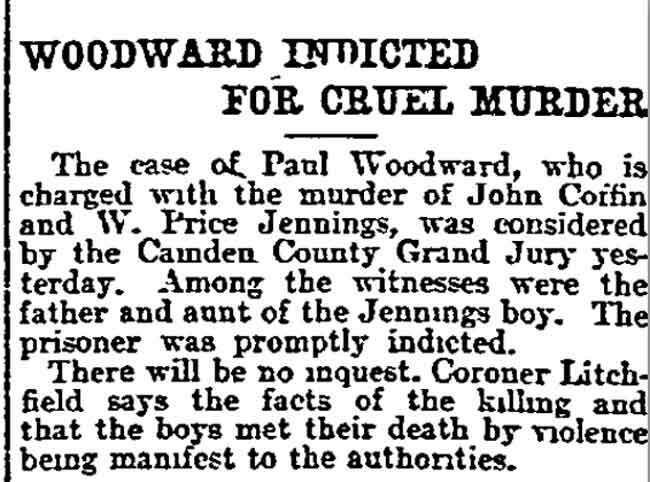 Many leading figures in Camden's legal, medical, law-enforcement, medical, political and police circles were involved in this case to one extent or another. 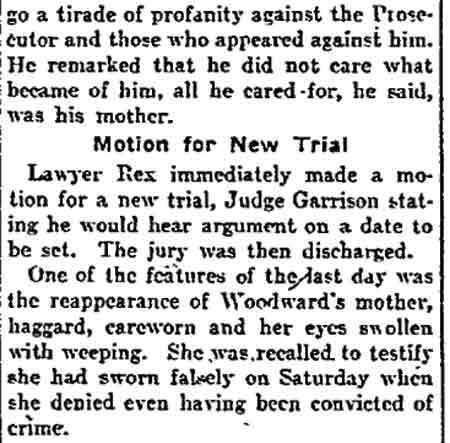 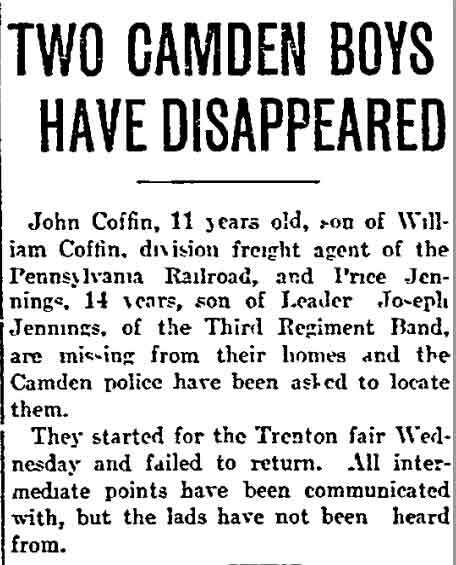 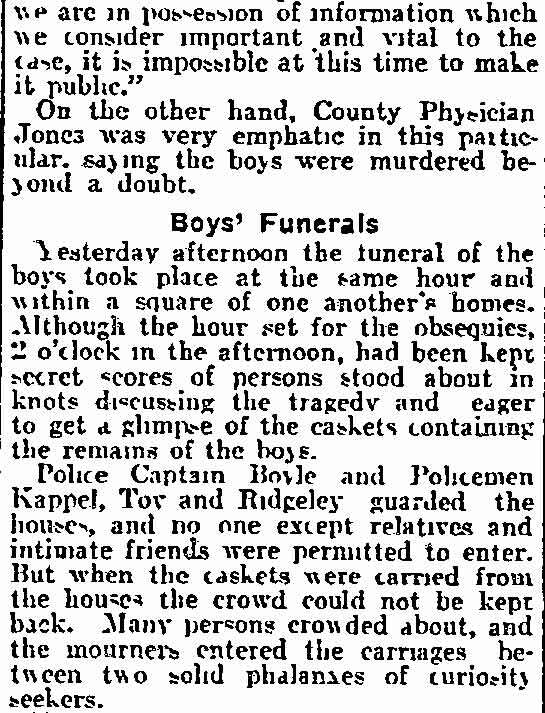 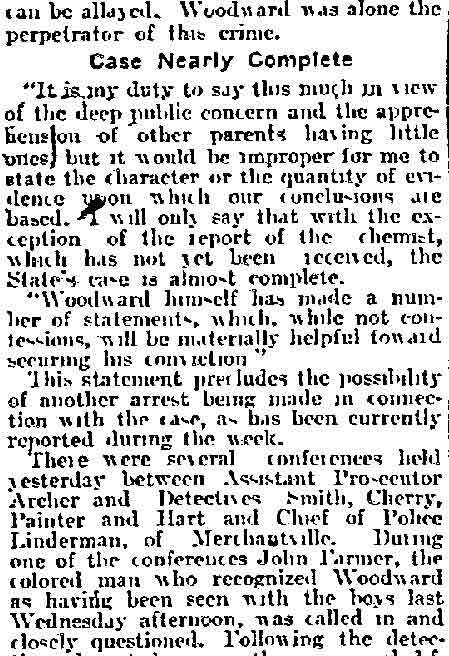 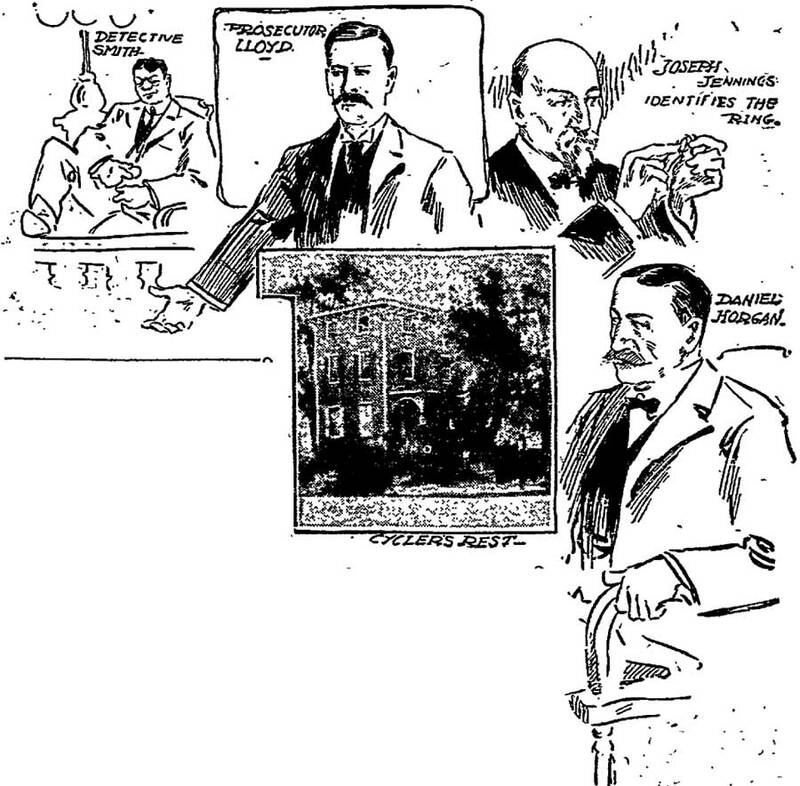 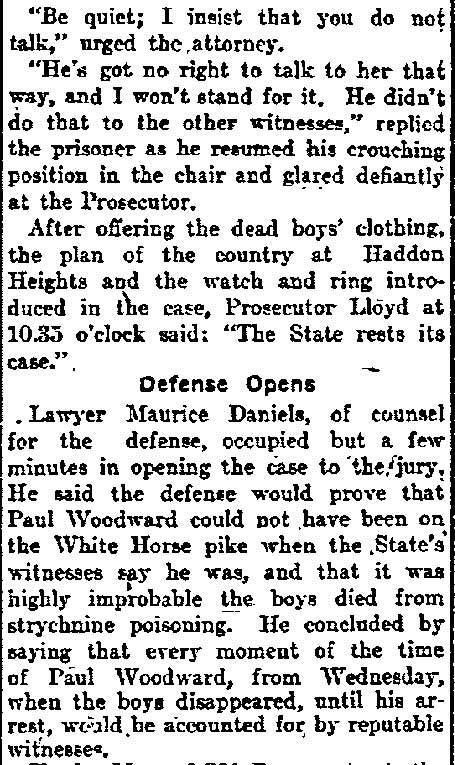 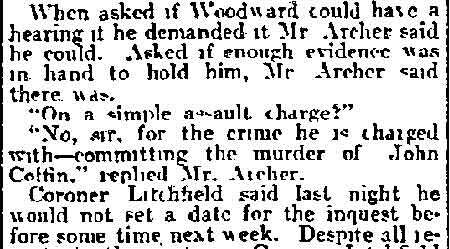 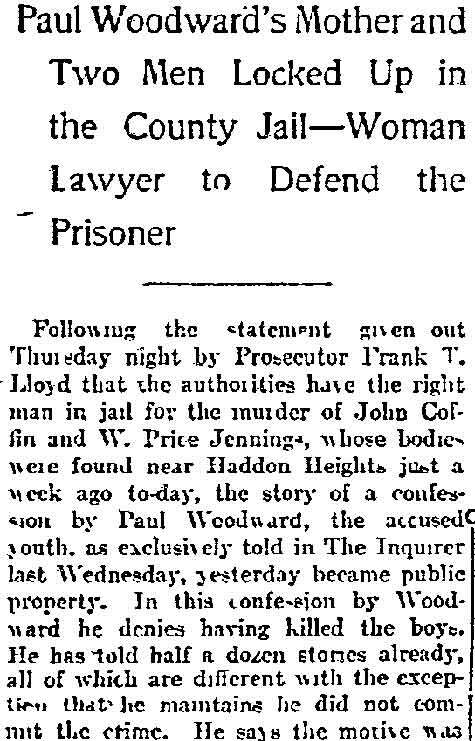 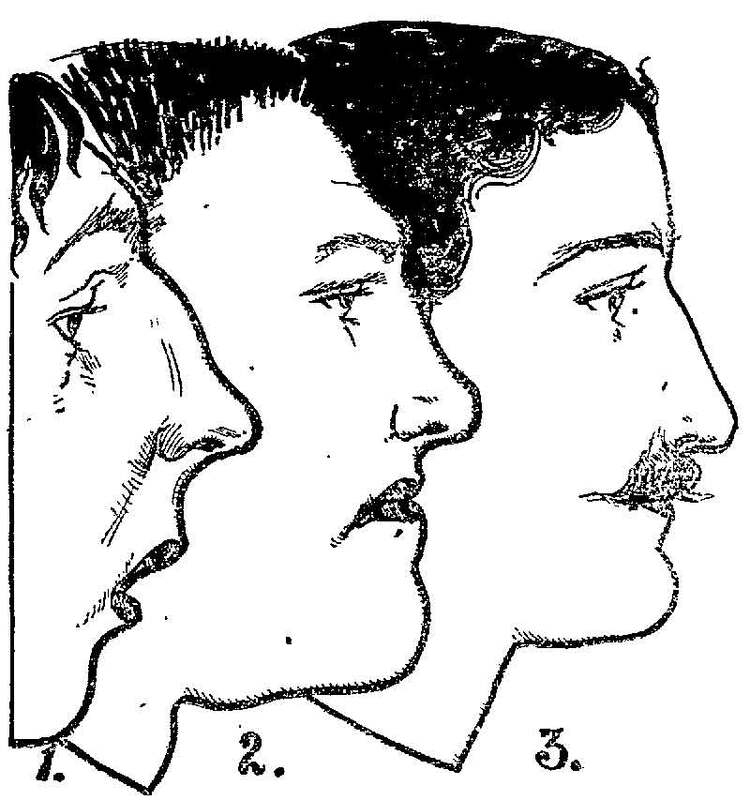 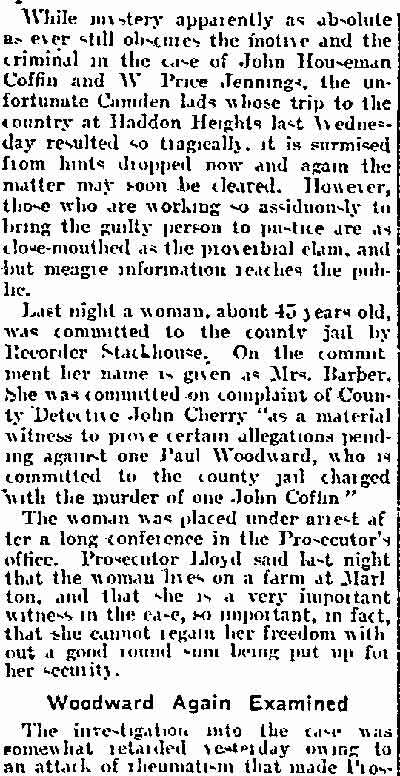 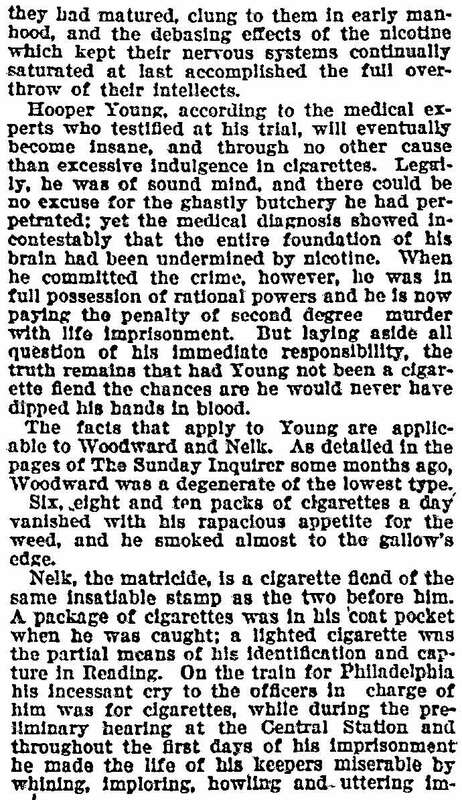 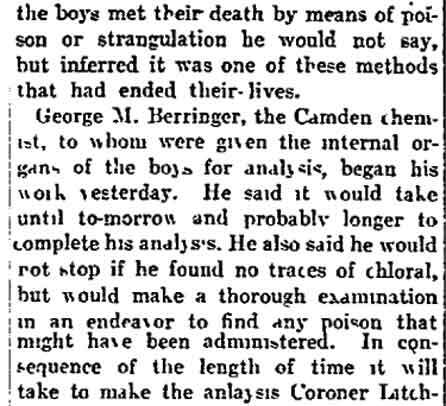 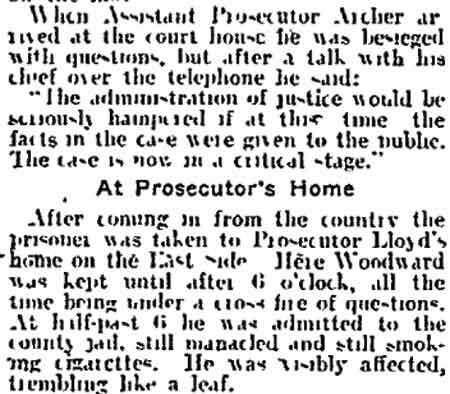 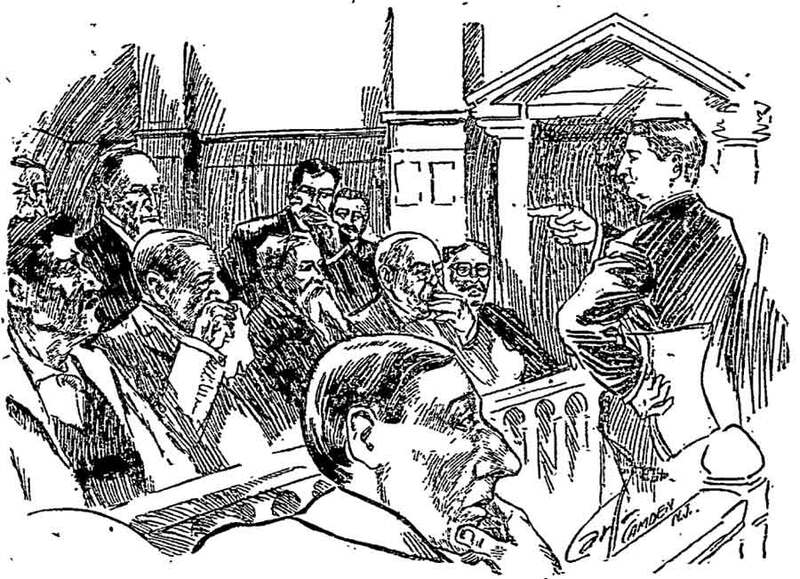 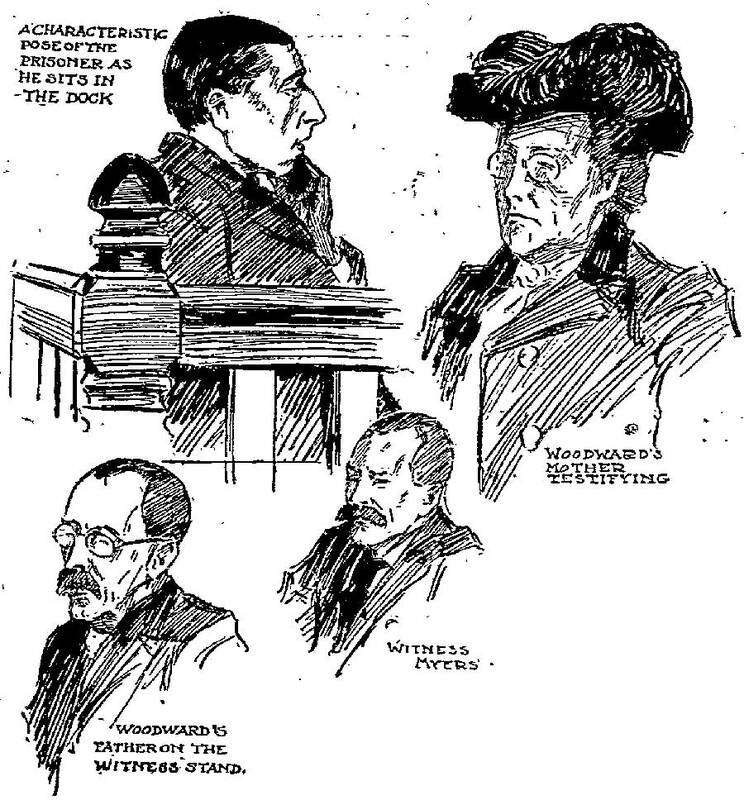 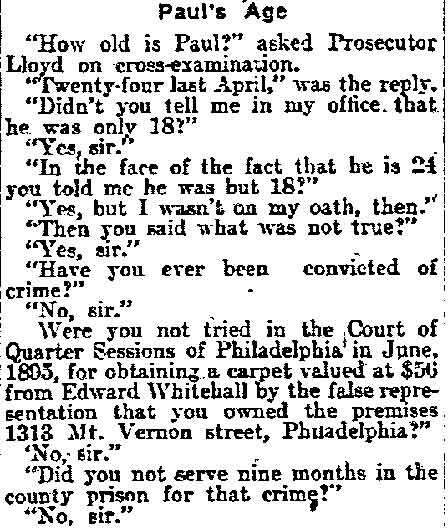 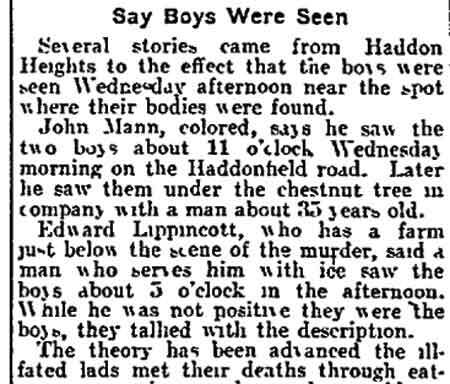 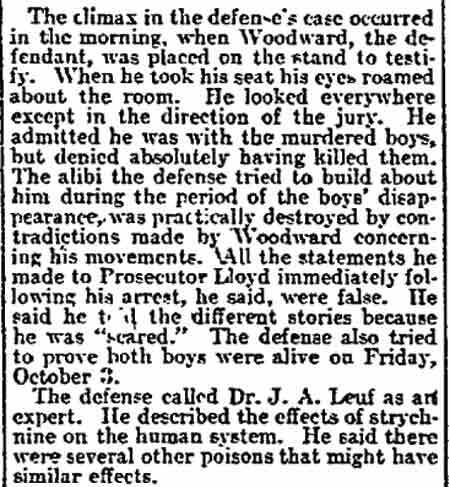 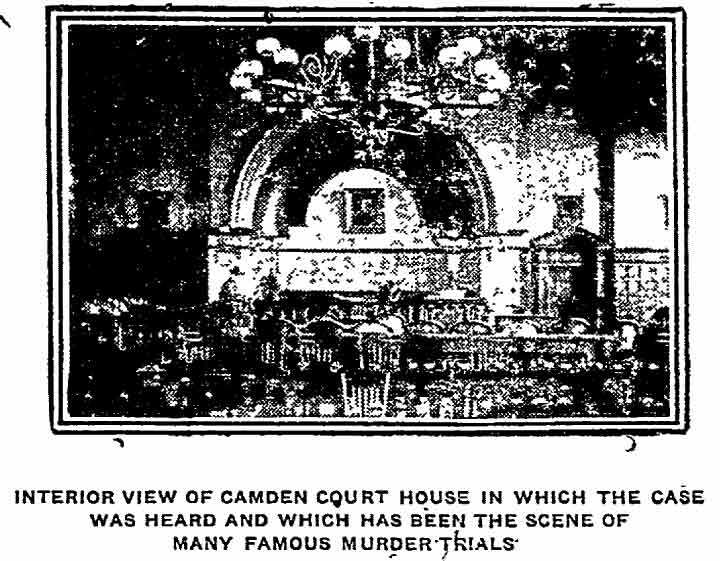 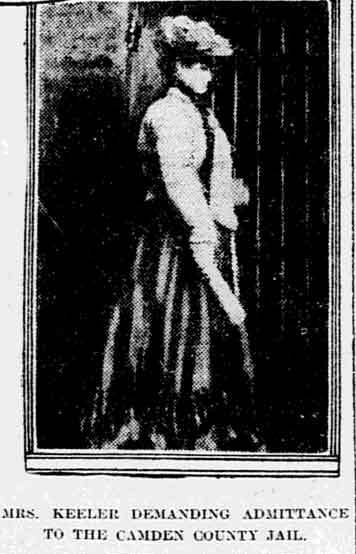 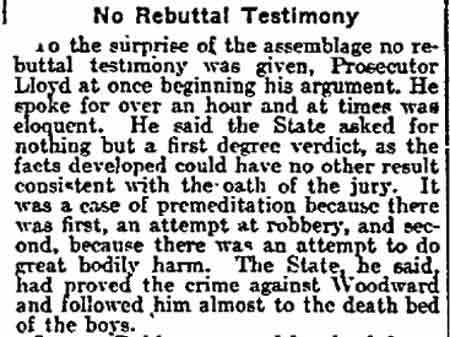 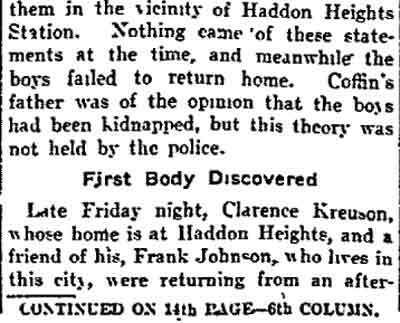 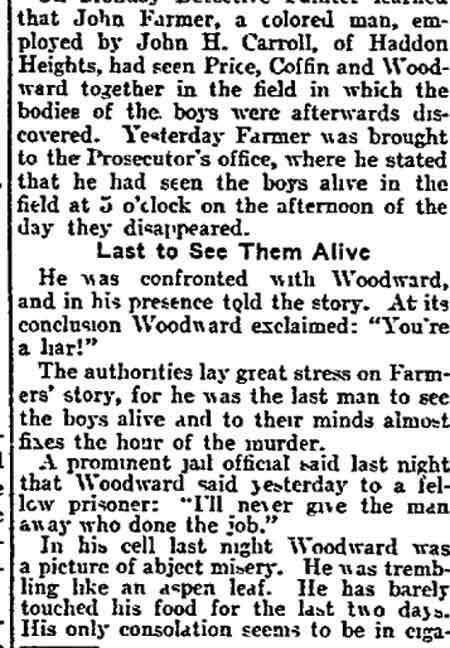 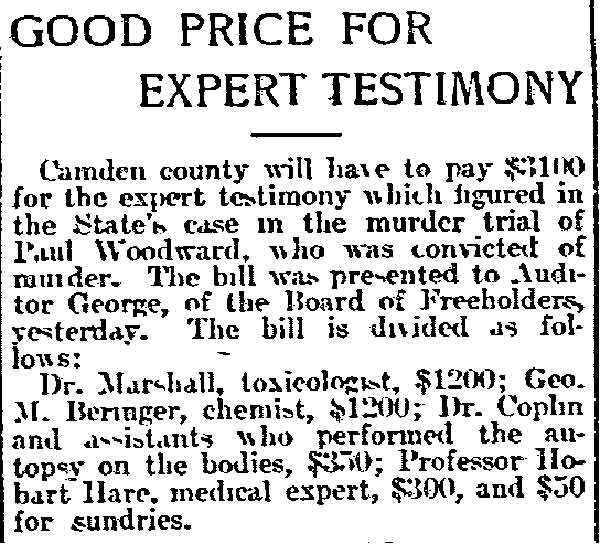 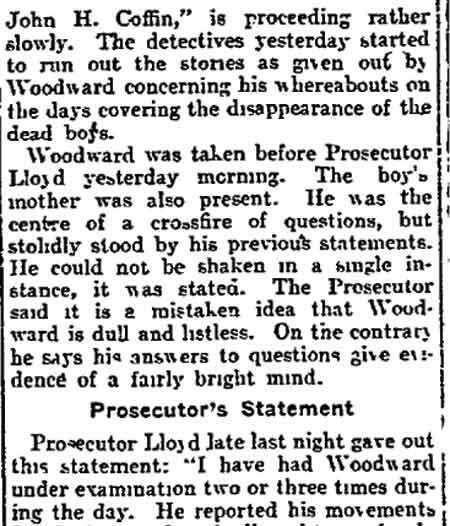 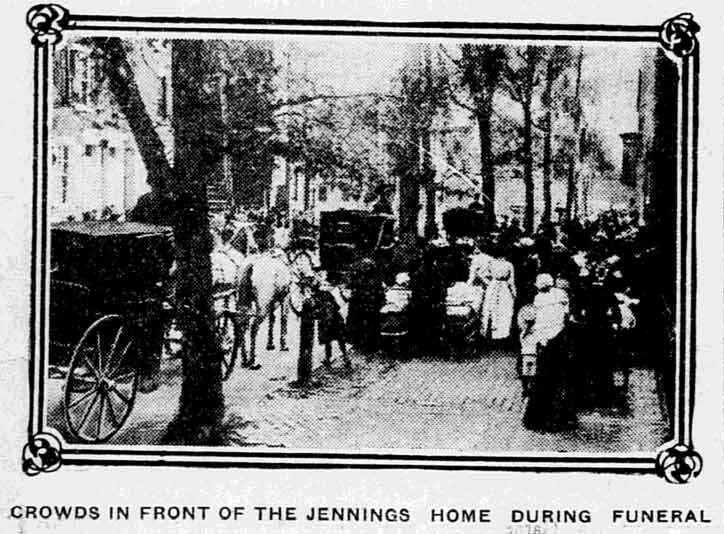 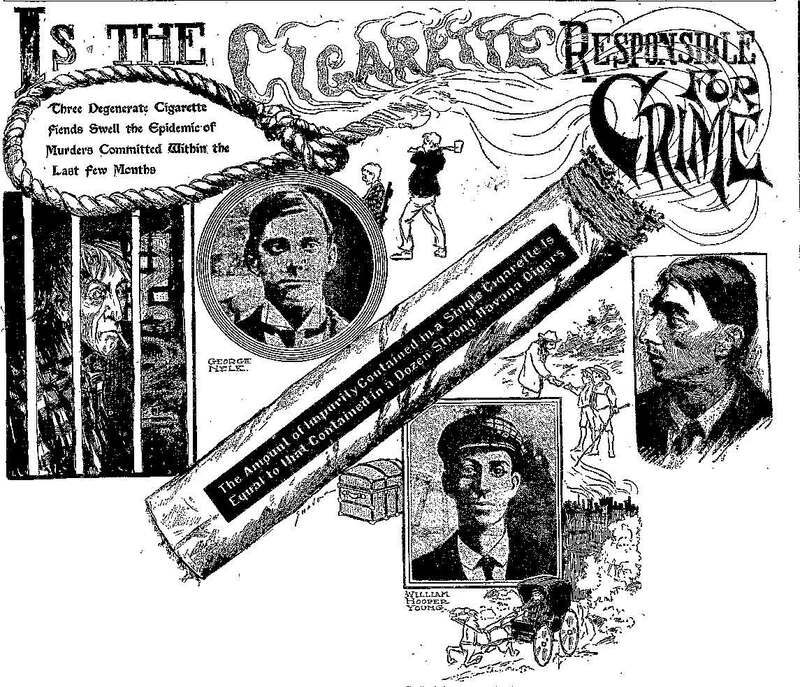 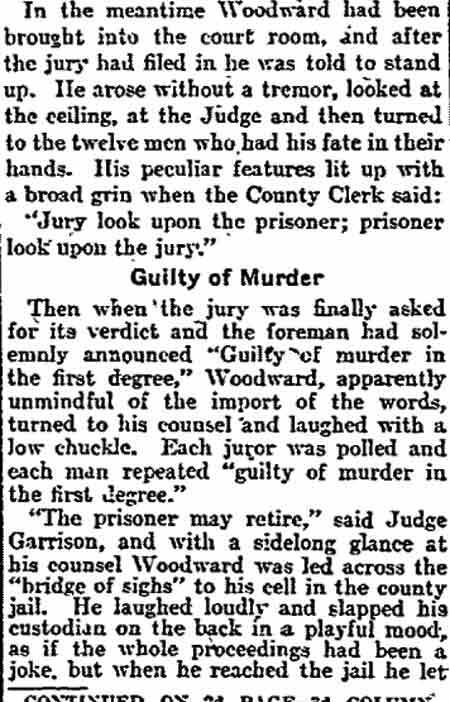 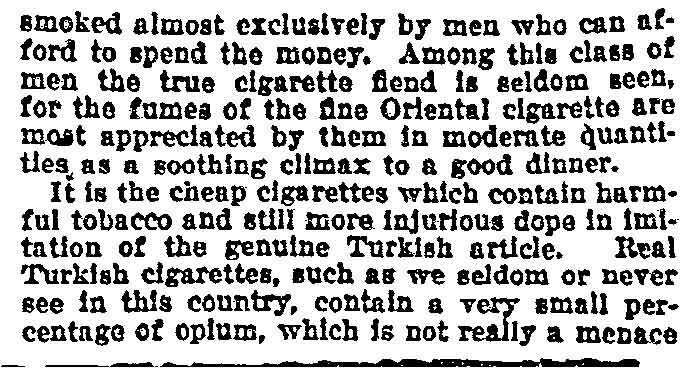 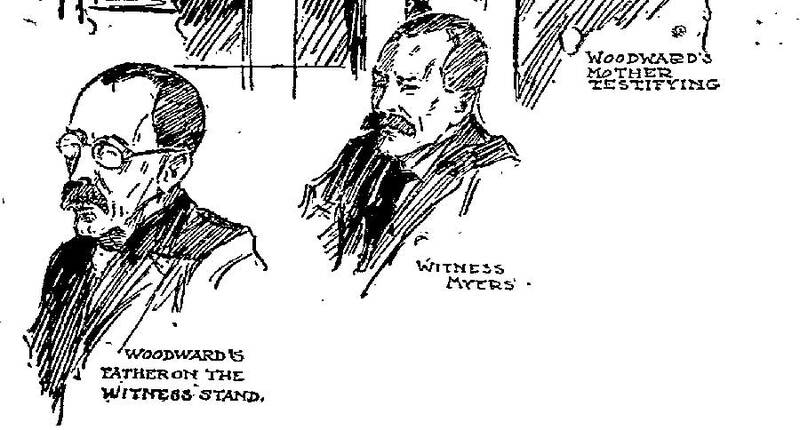 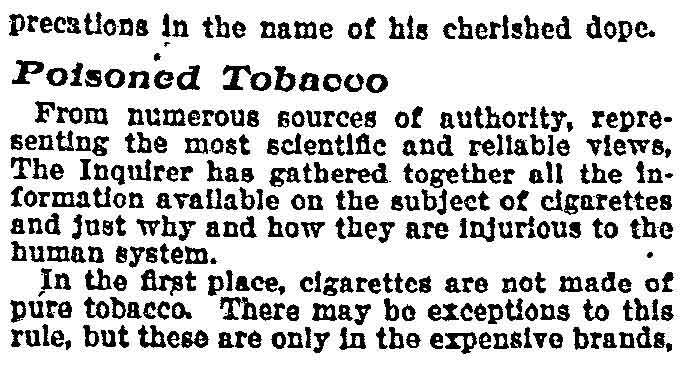 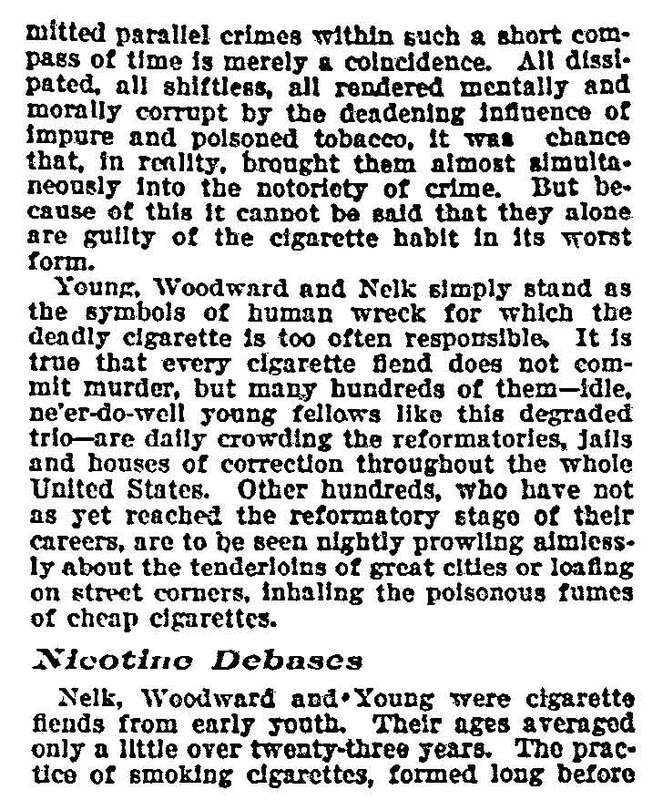 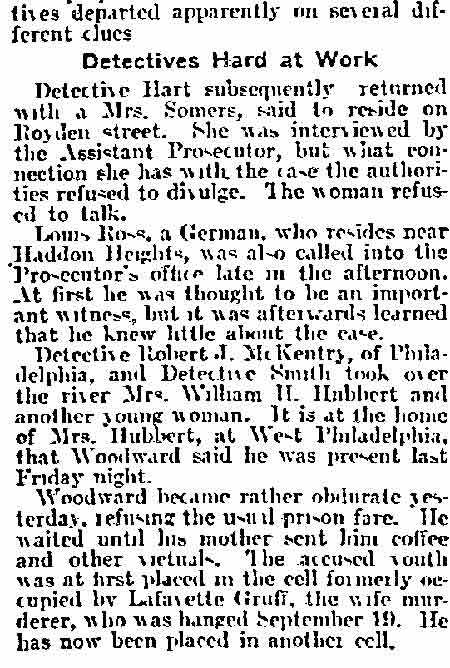 Then as now, the media also sought to exploit the story beyond the mere reporting of the events of the day, and three articles from the Inquirer, one published just before the trial, and two publish in February and March of 1903 are presented below as well. 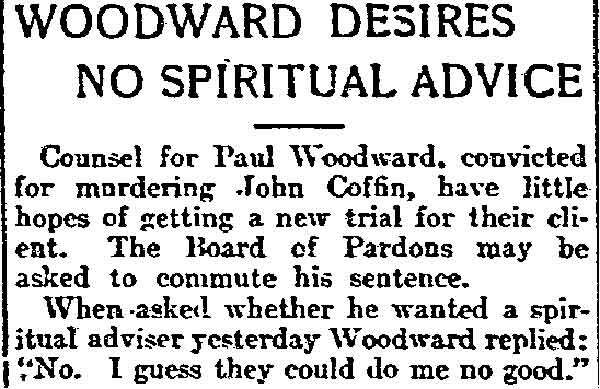 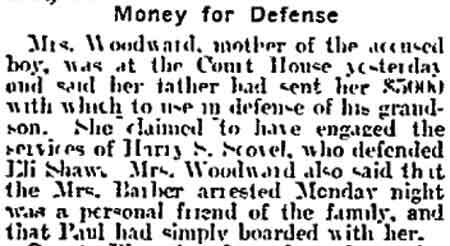 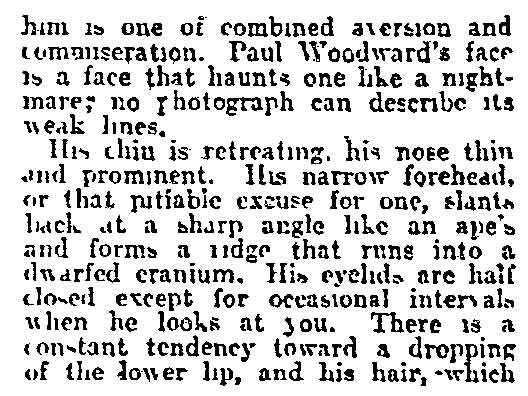 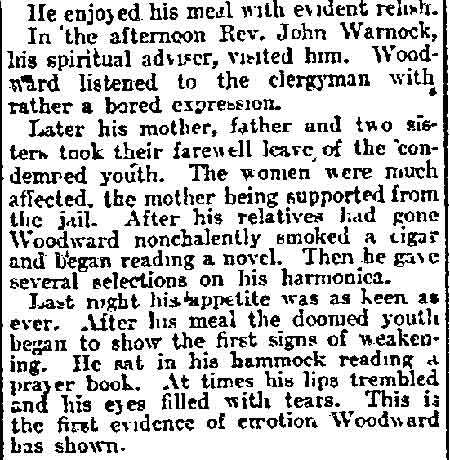 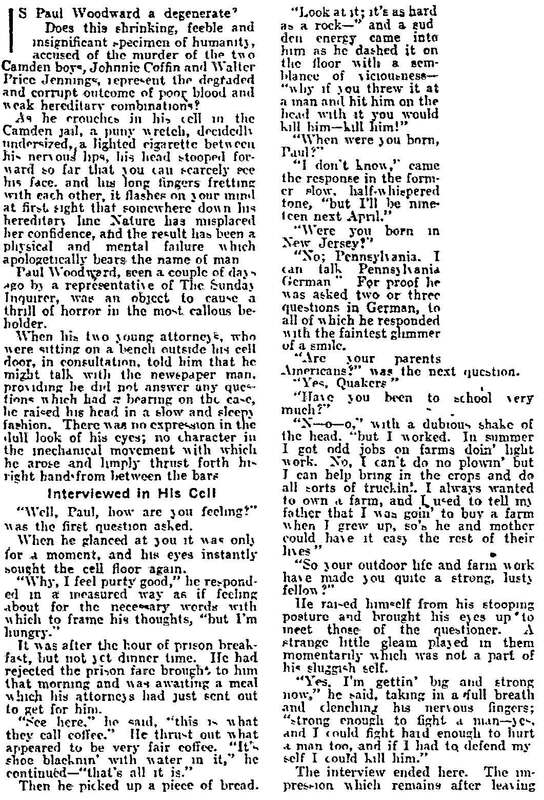 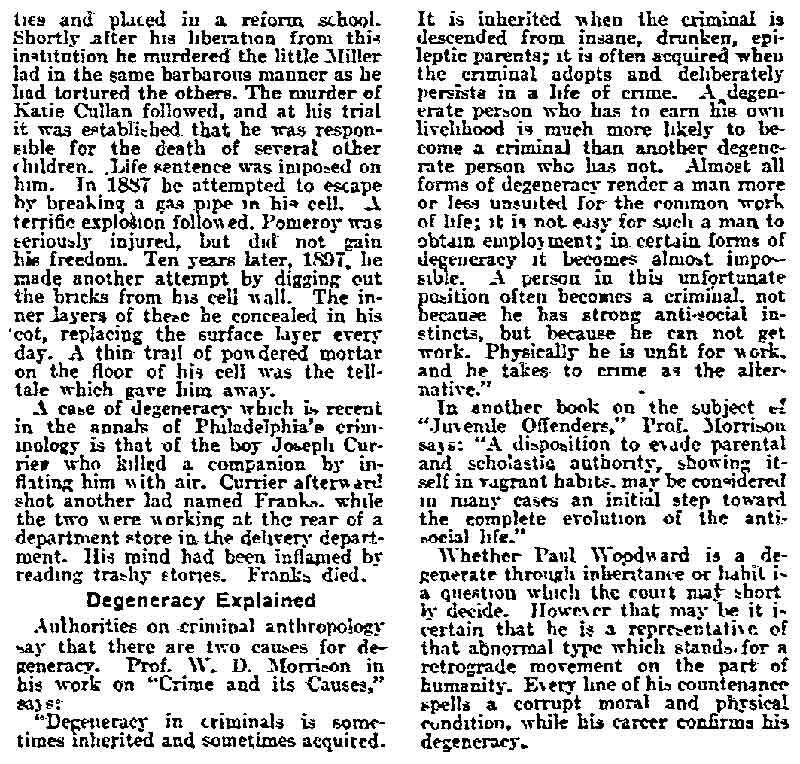 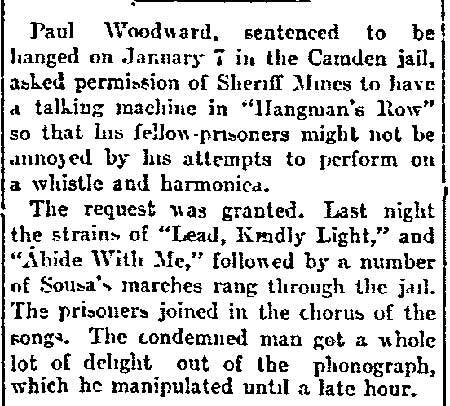 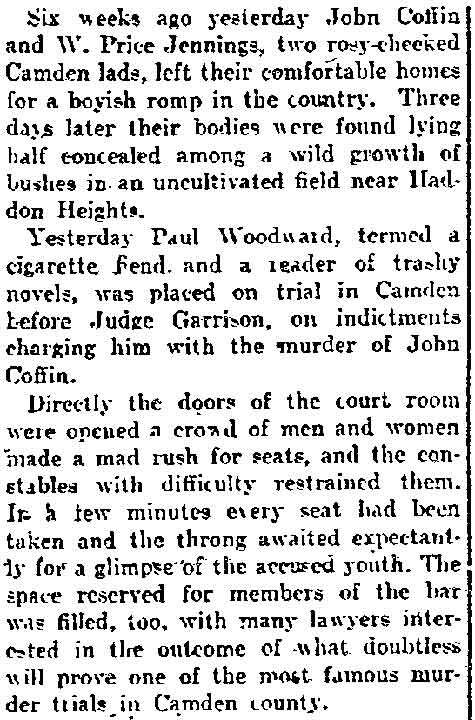 Perhaps, as one article speculated, Paul Woodward was a "degenerate". 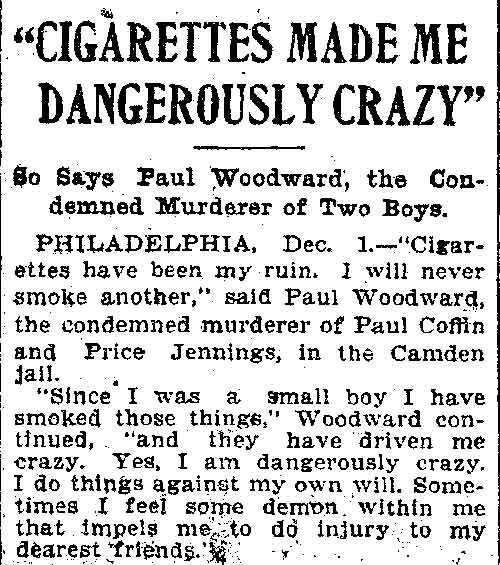 Then again, maybe it was the cigarettes.